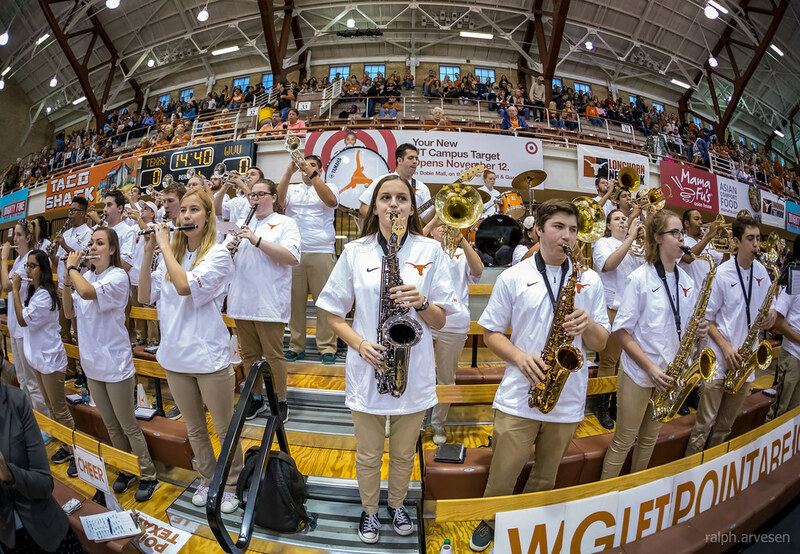 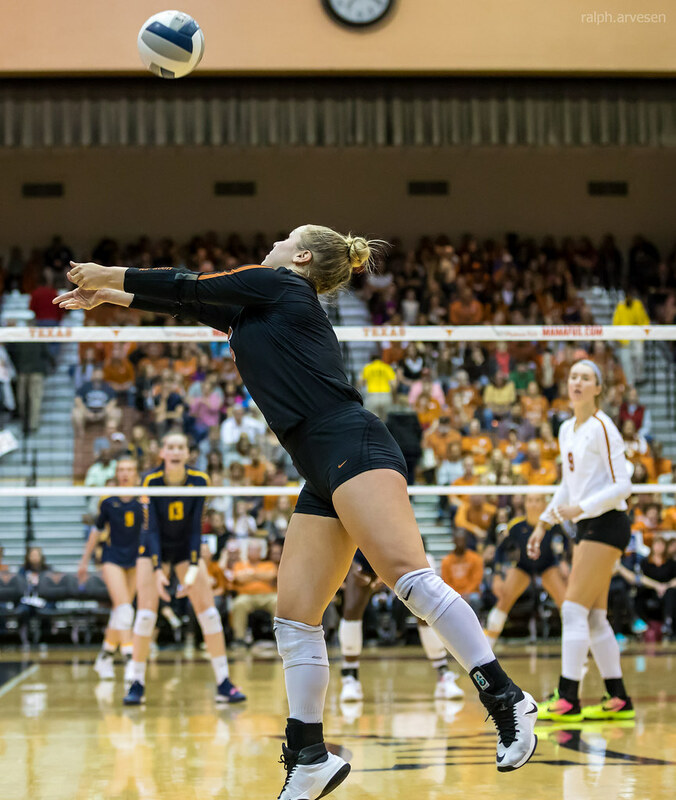 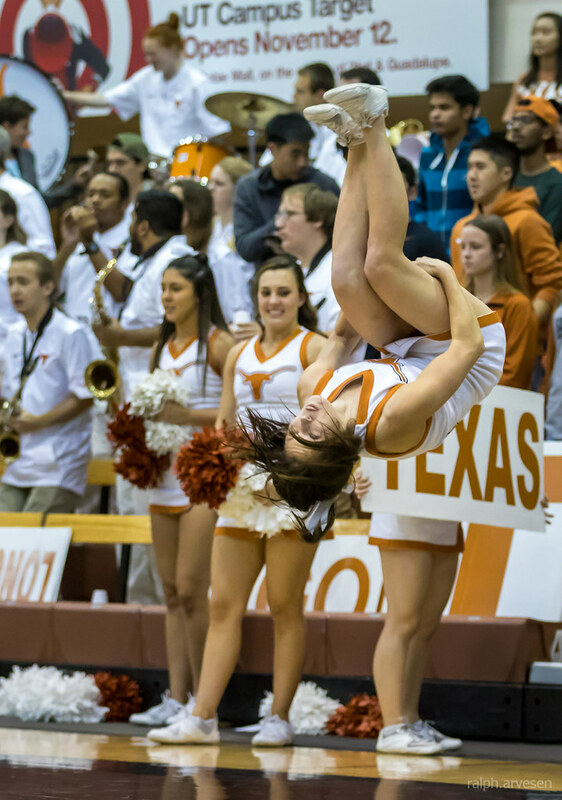 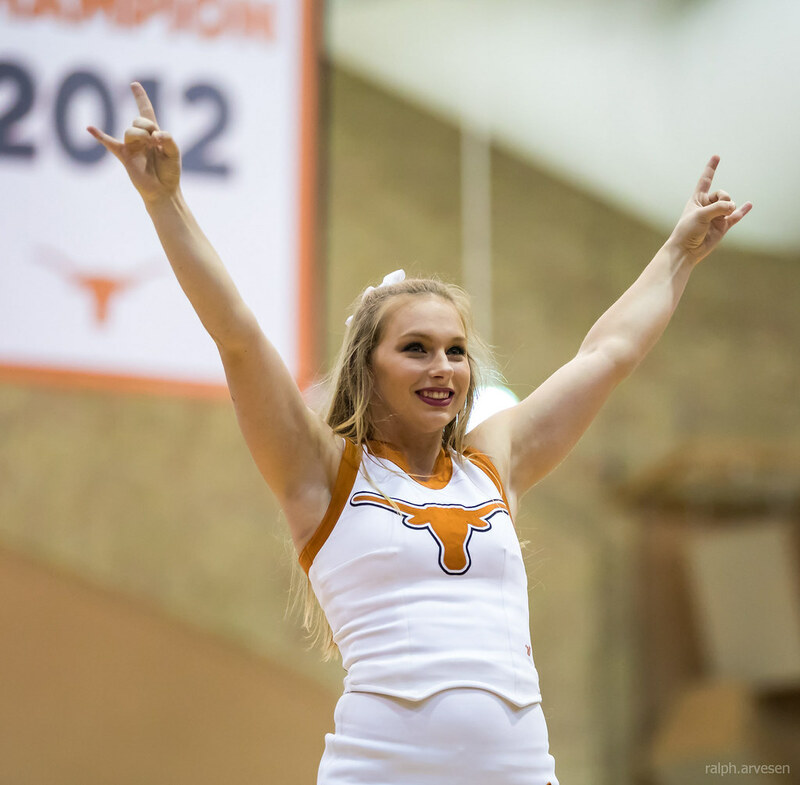 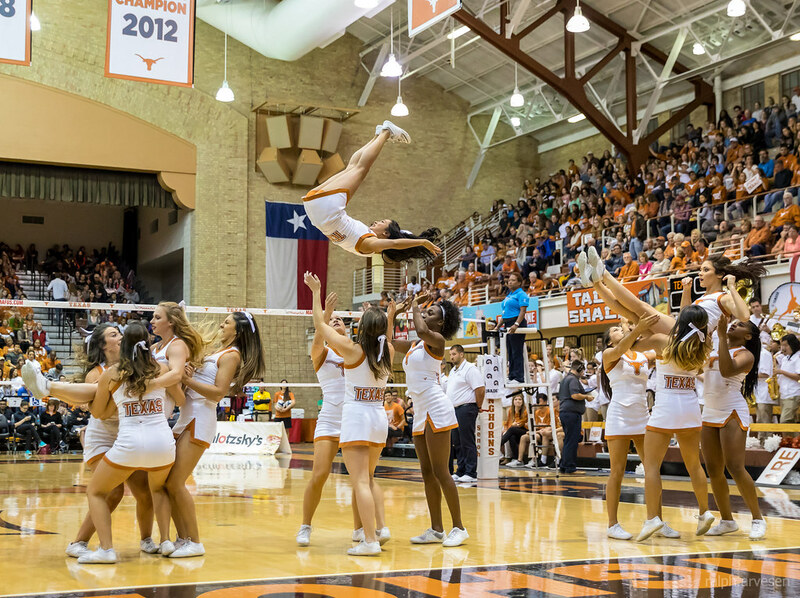 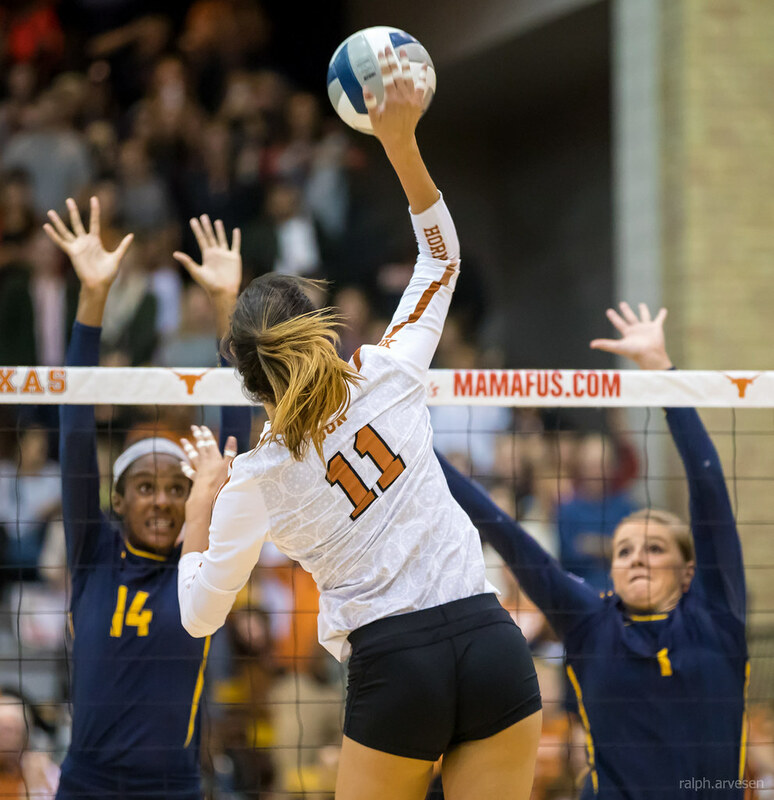 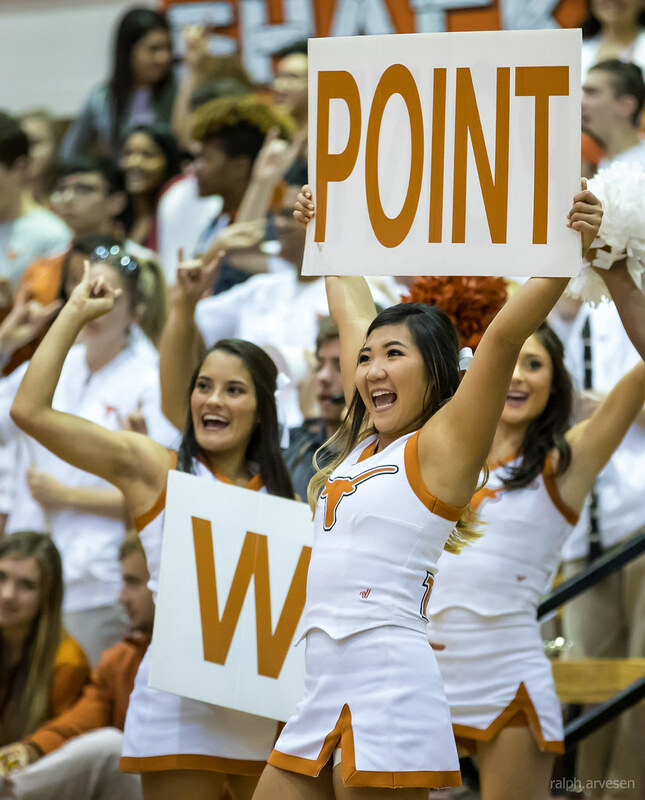 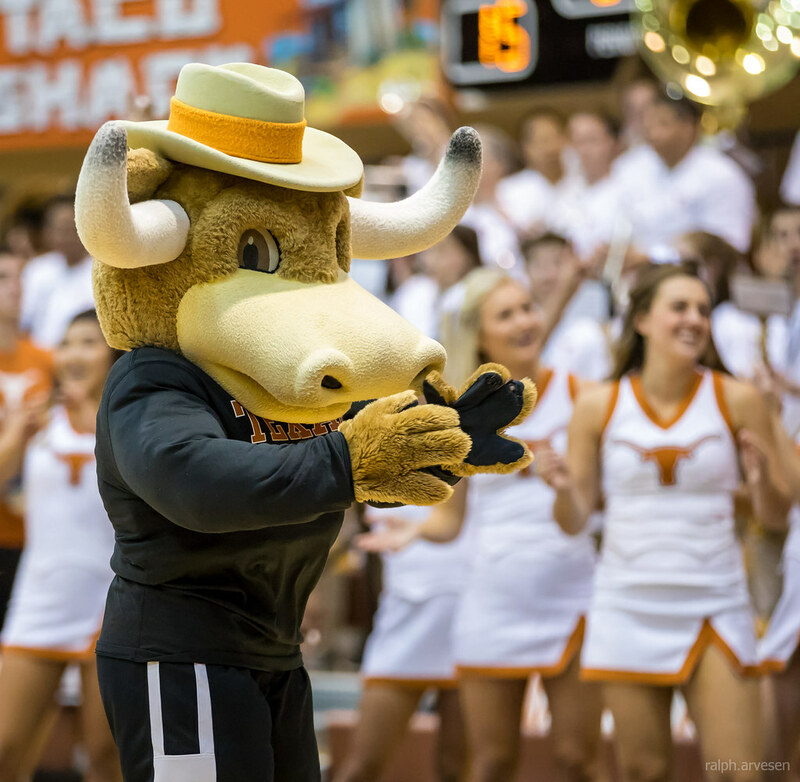 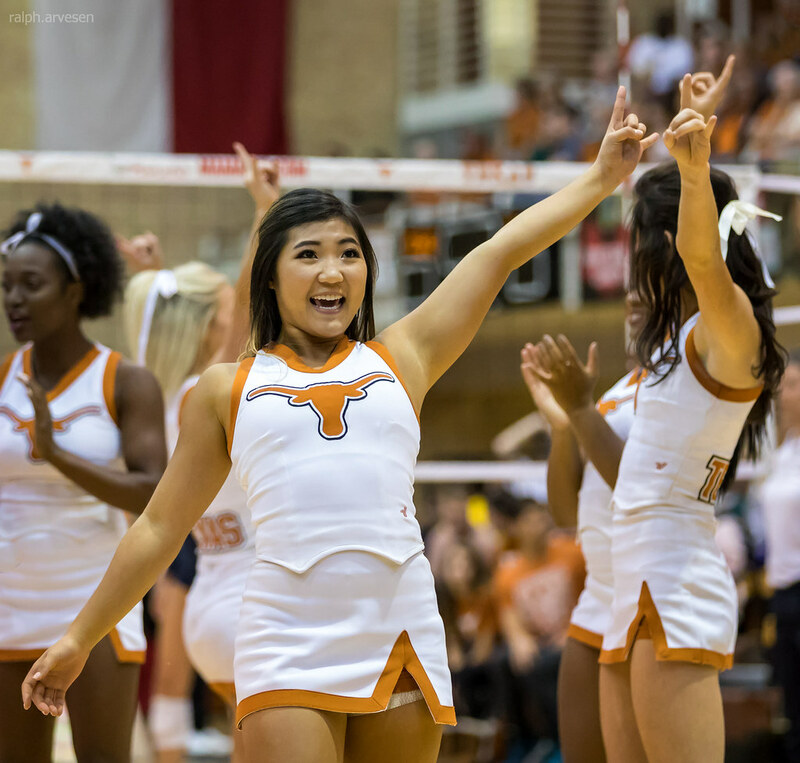 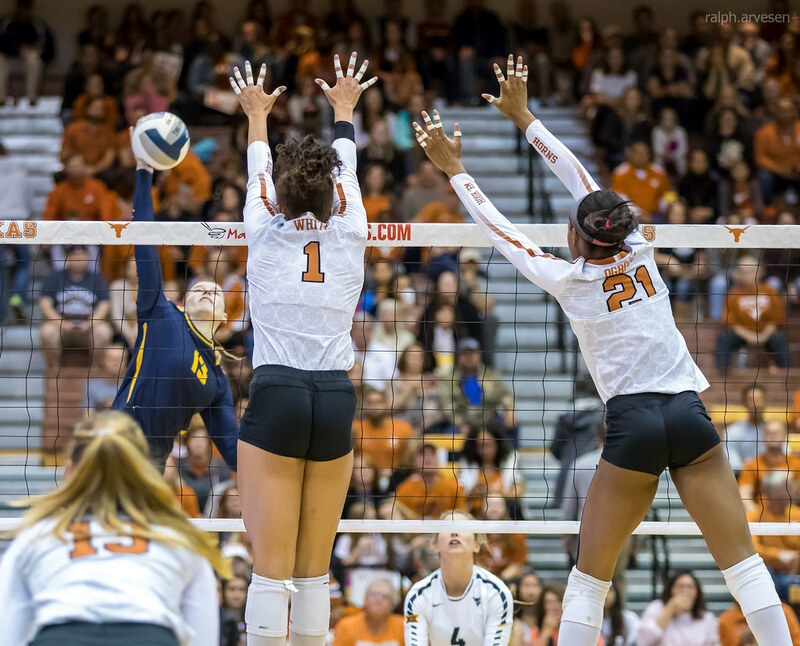 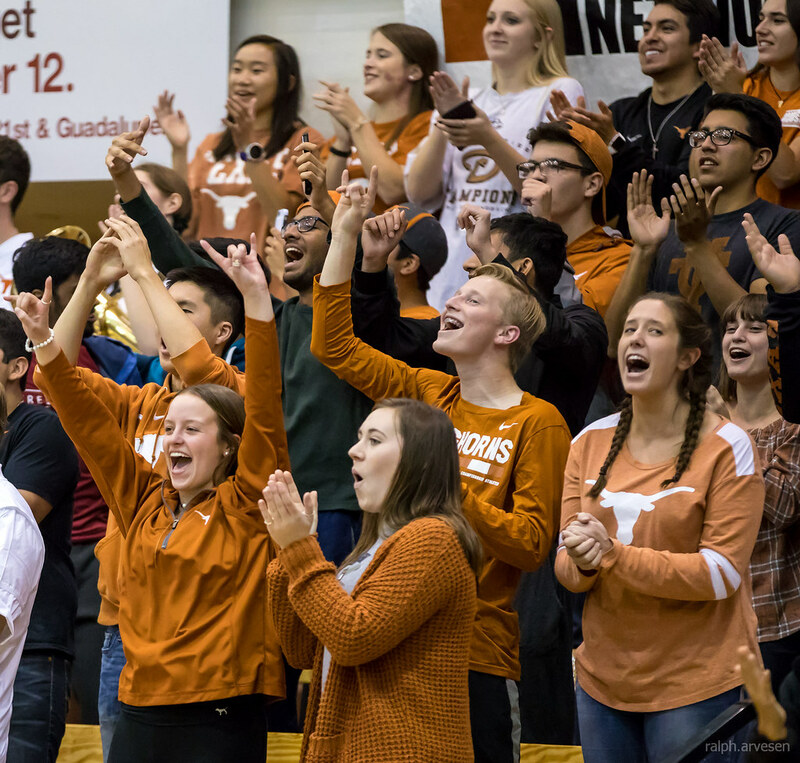 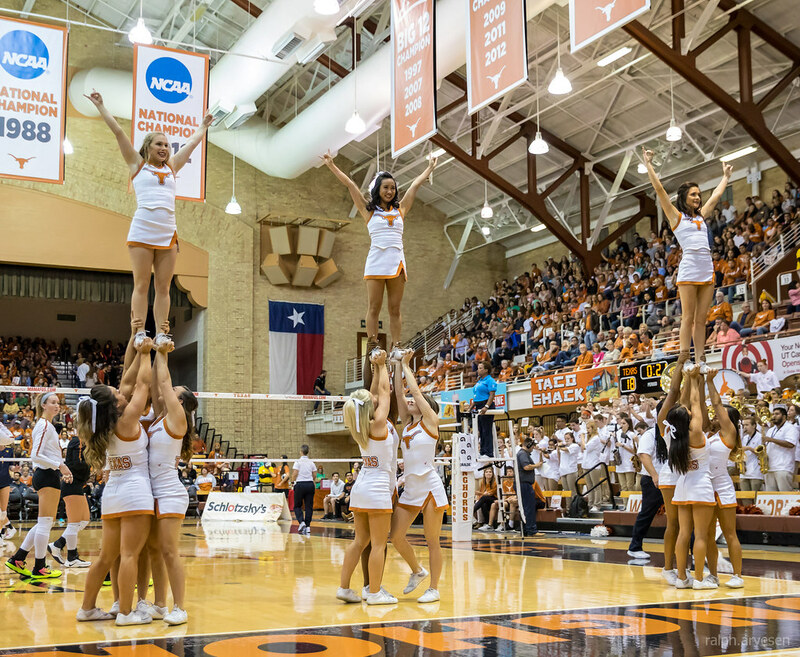 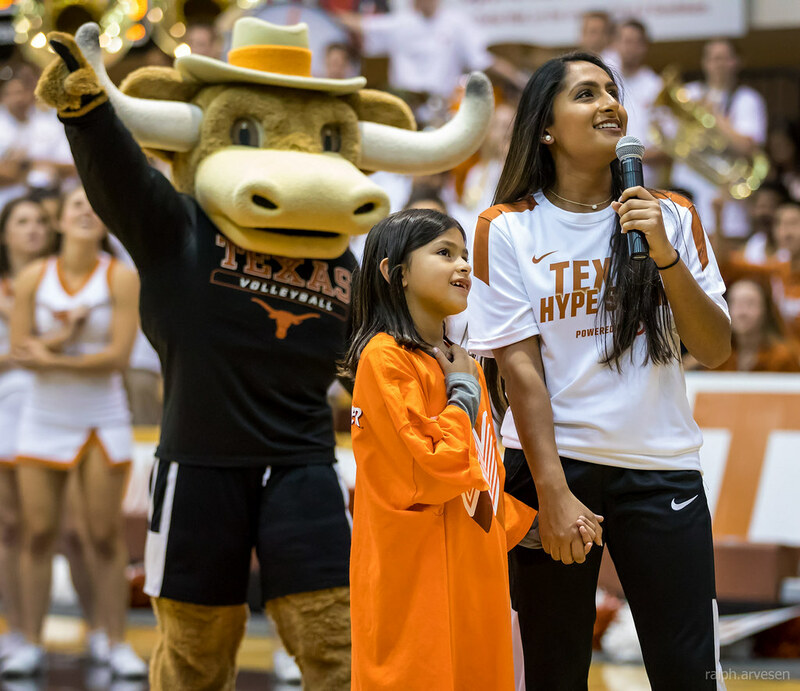 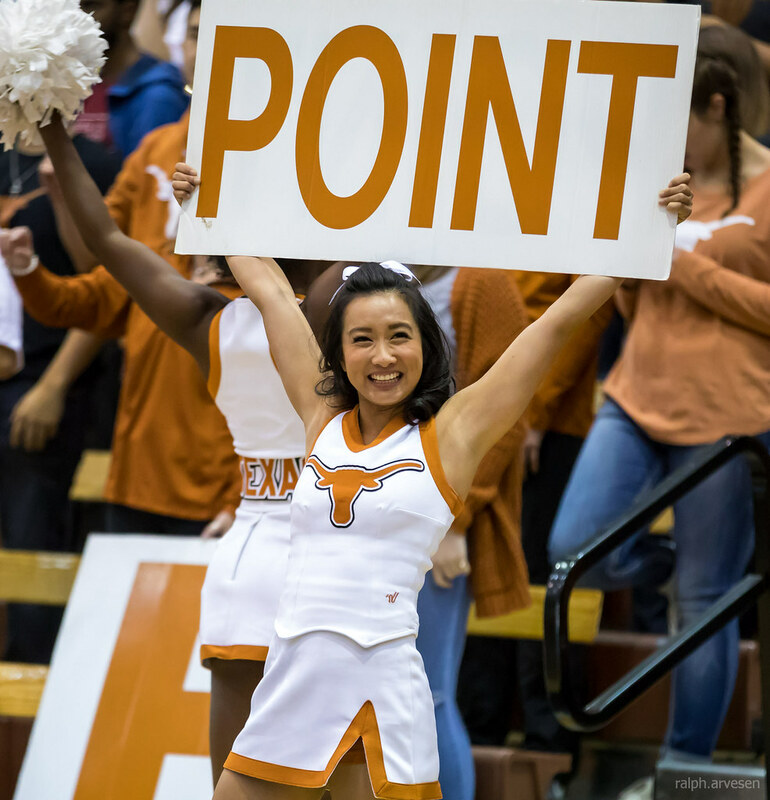 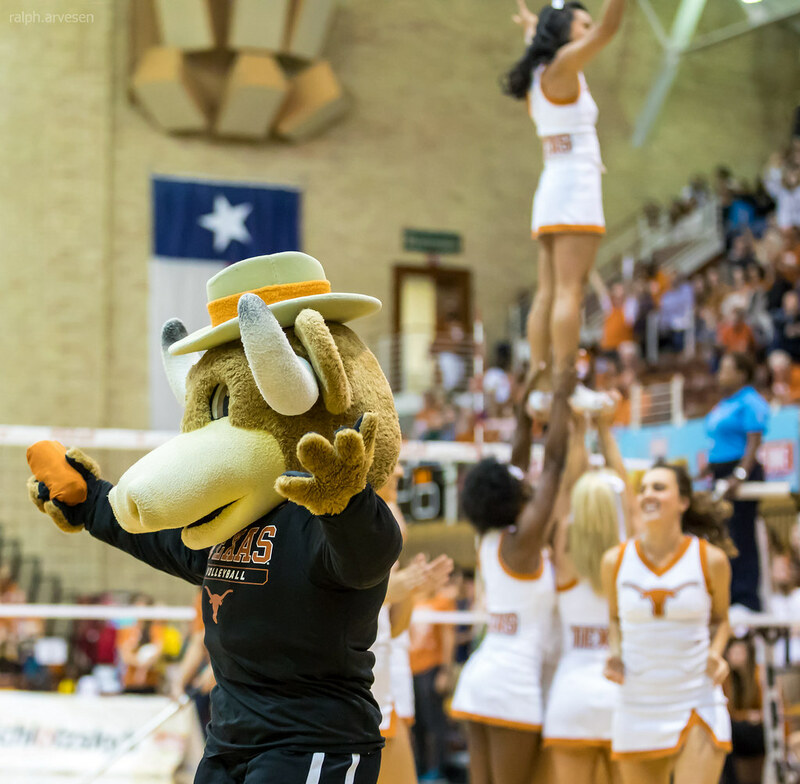 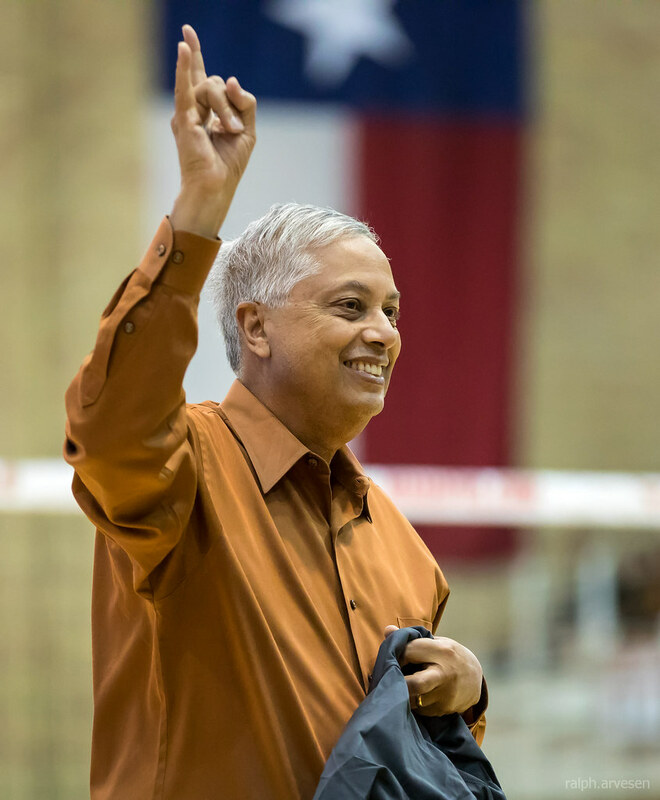 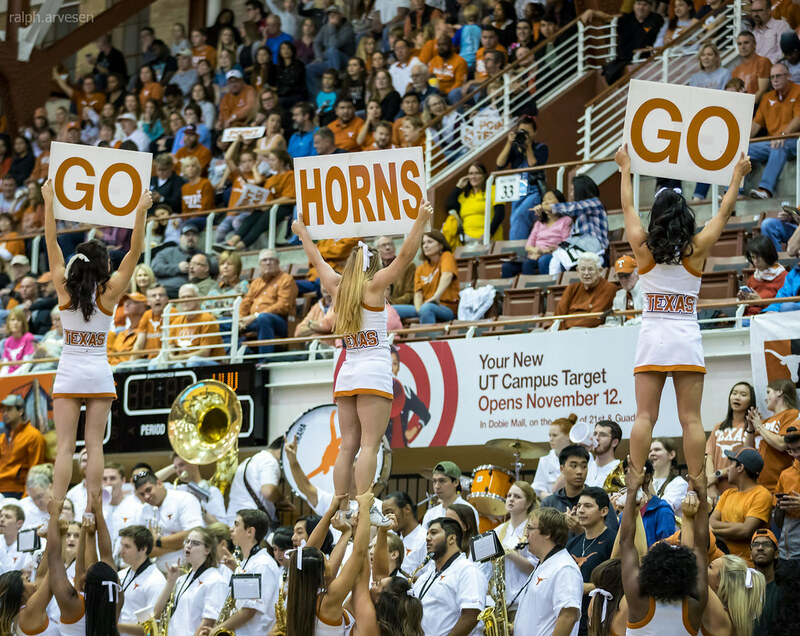 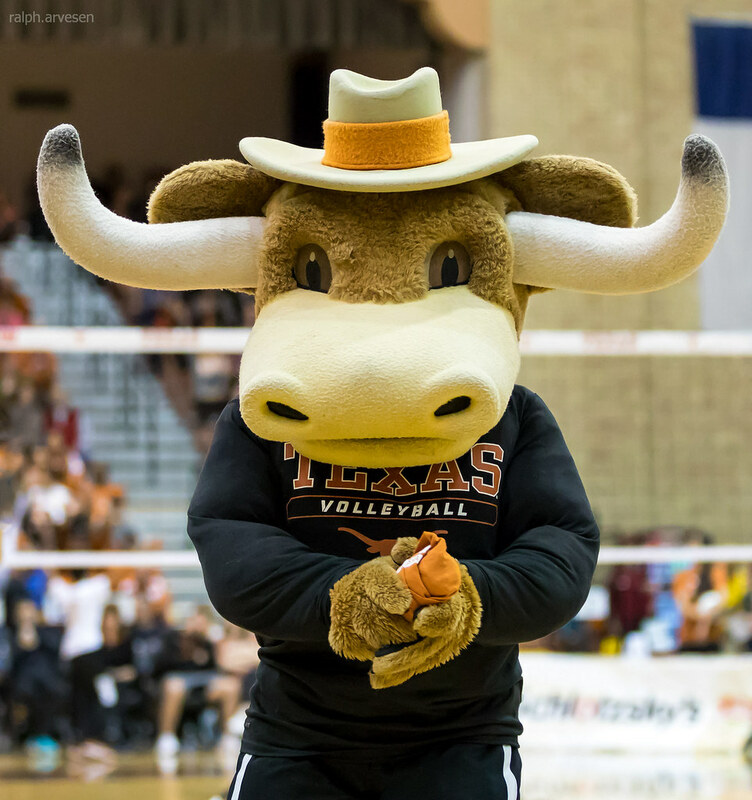 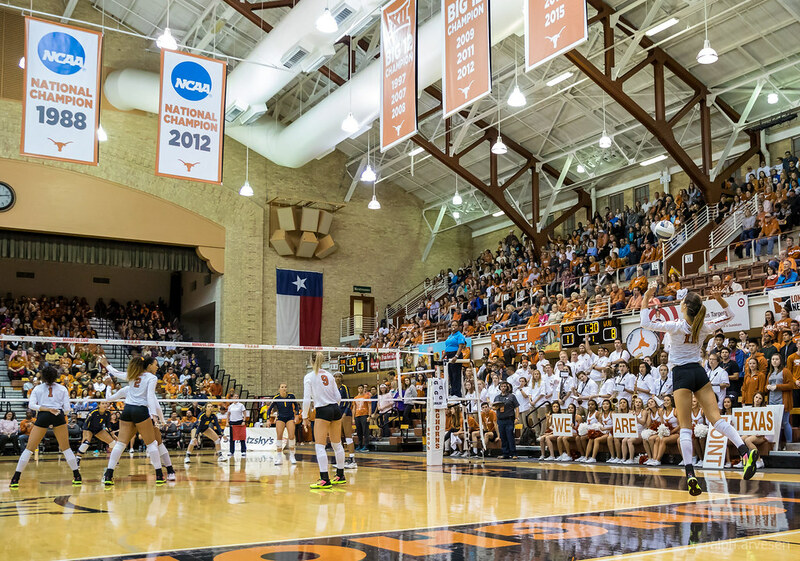 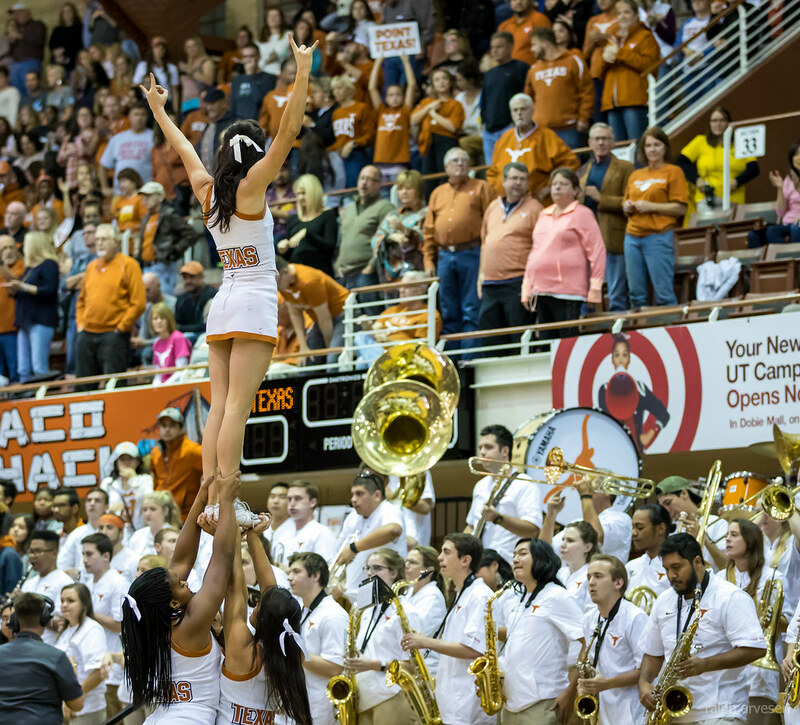 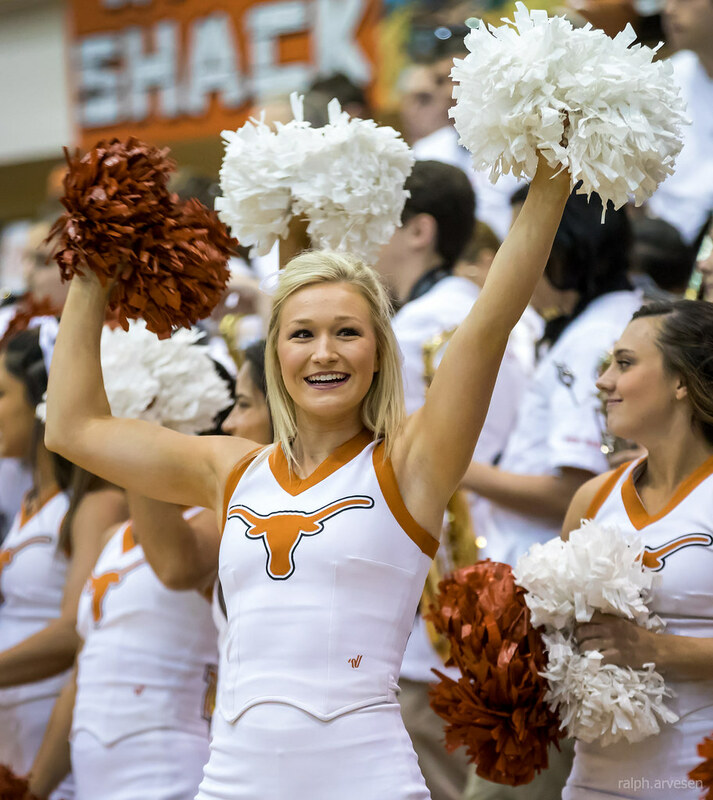 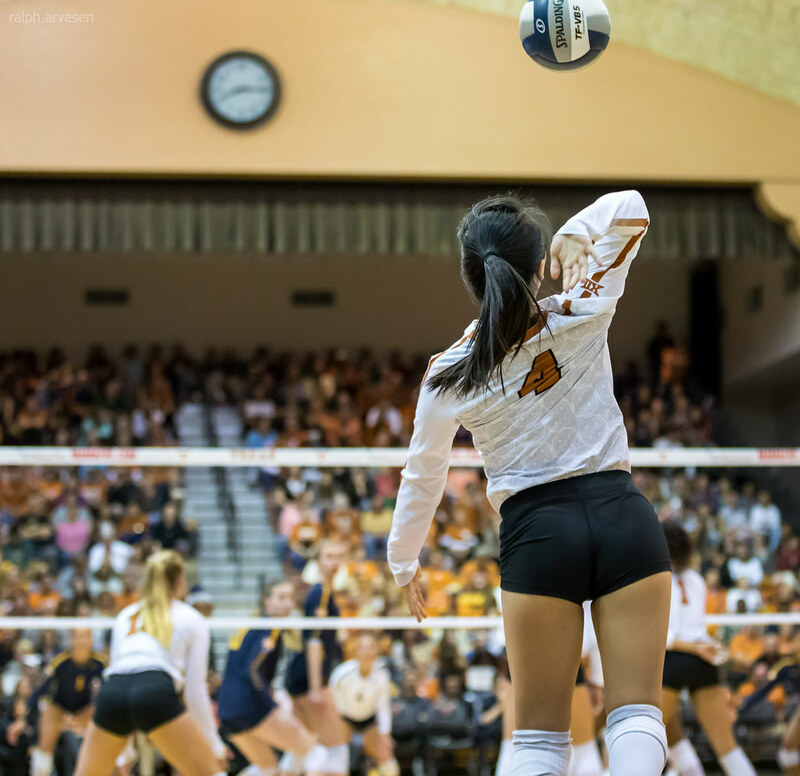 University of Texas Longhorn volleyball match against West Virginia at Gregory Gym in Austin, Texas on October 28, 2017. 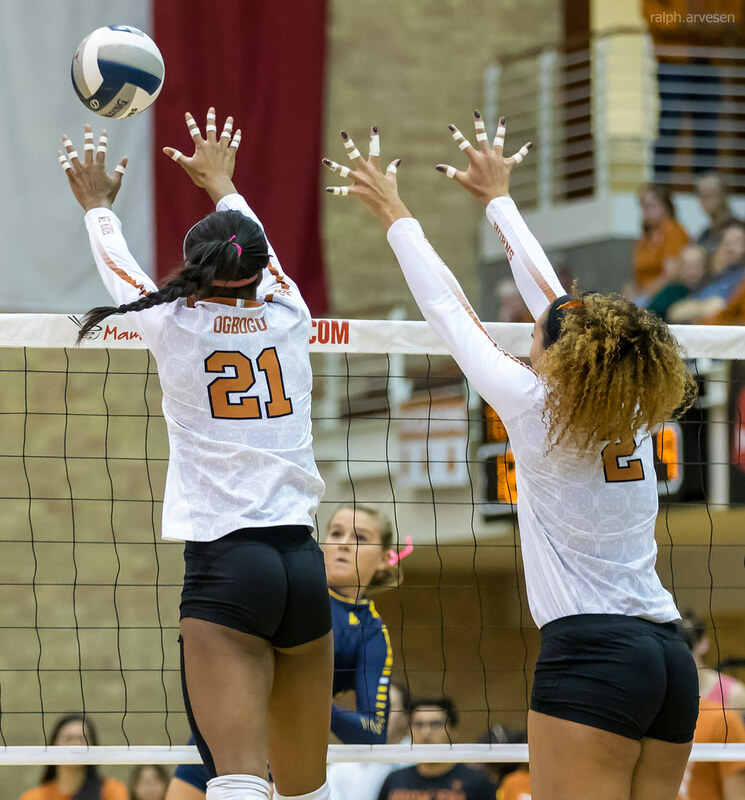 Senior Chiaka Ogbogu finished with 11 kills and seven blocks to lead No. 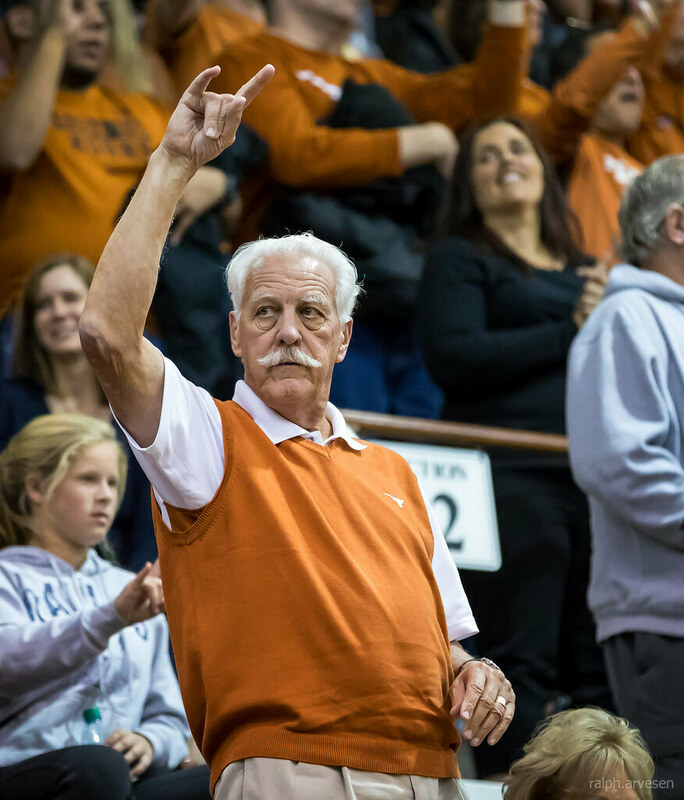 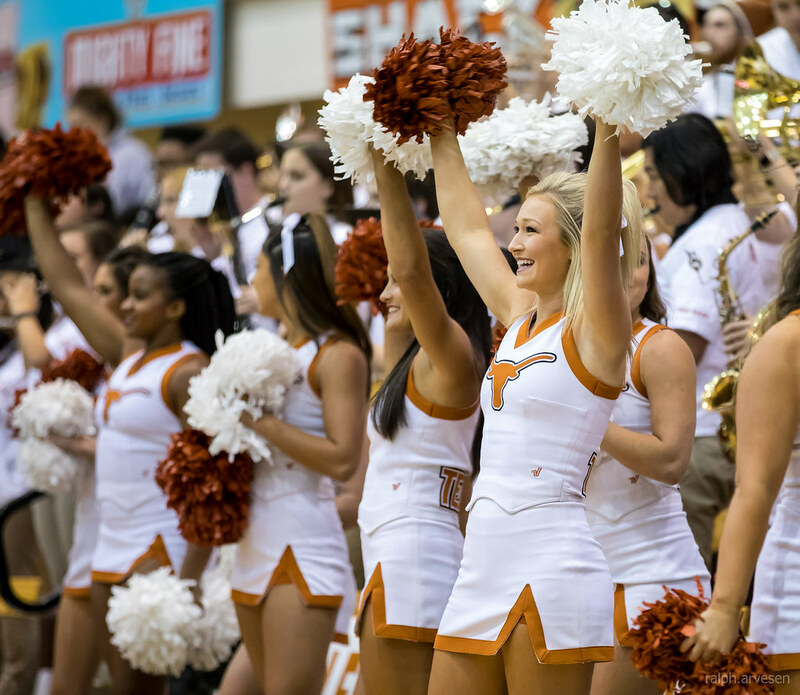 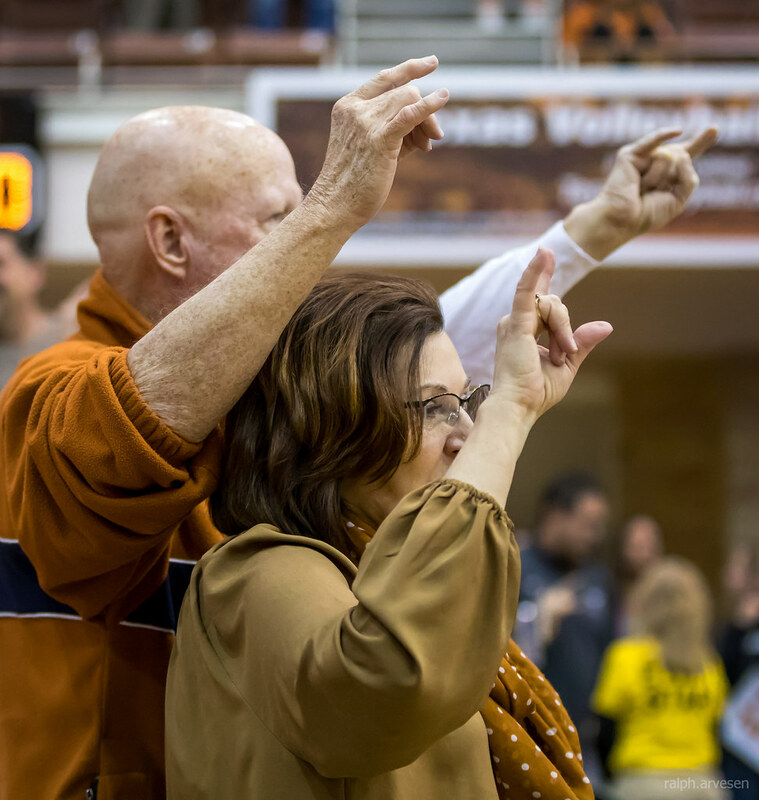 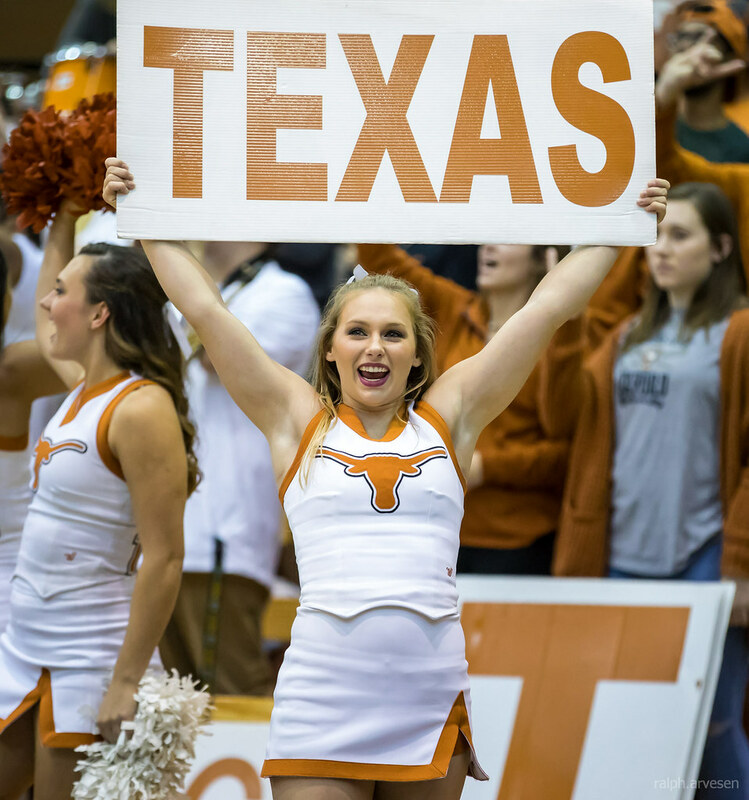 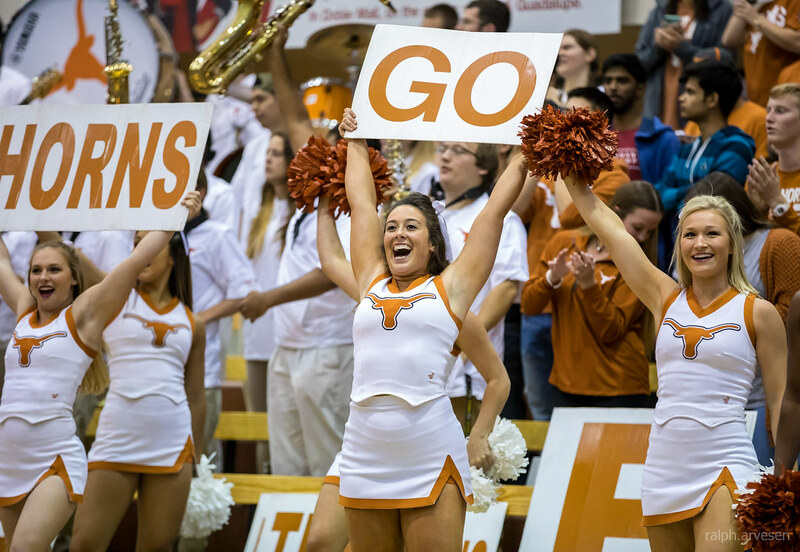 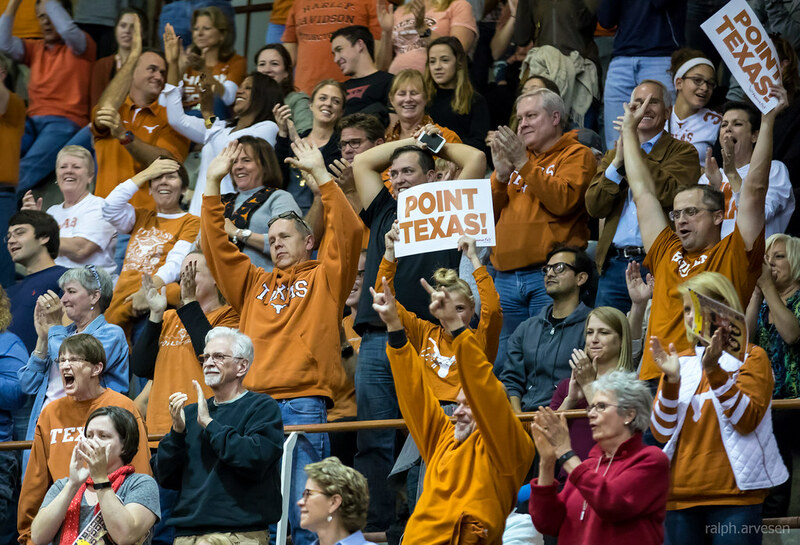 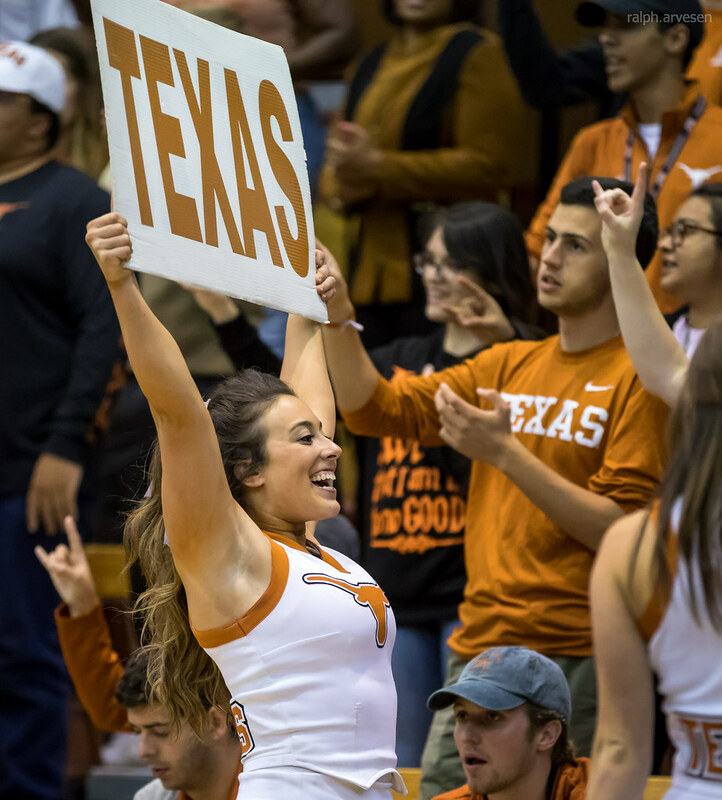 3 Texas (17-2, 9-0) past West Virginia (14-9, 3-7), 3-0 (25-19, 28-26, 25-17) on Saturday evening at Gregory Gym. 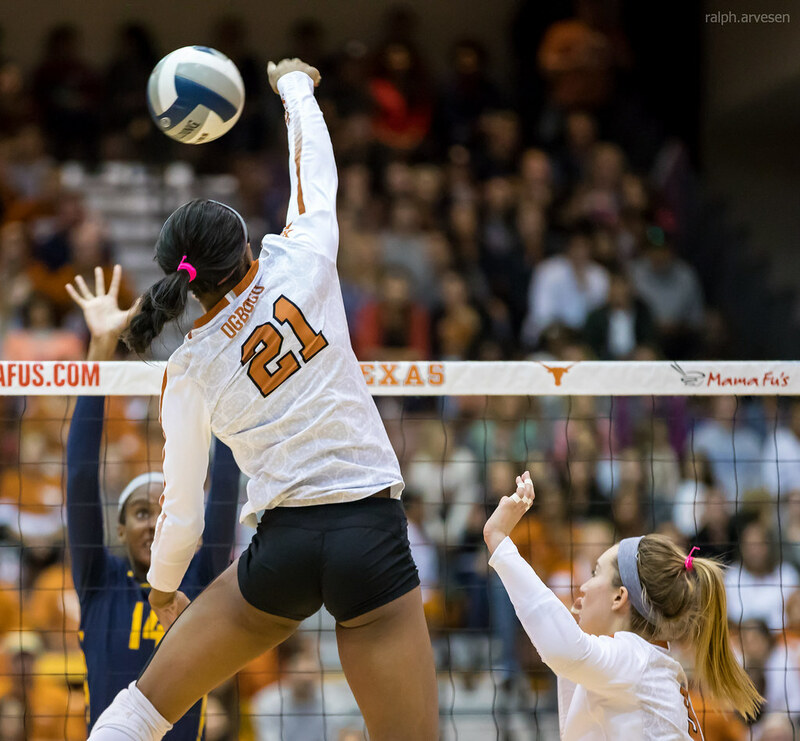 Ogbogu's 11 kills came on 22 swings and only three errors, finishing with a .364 hitting percentage. 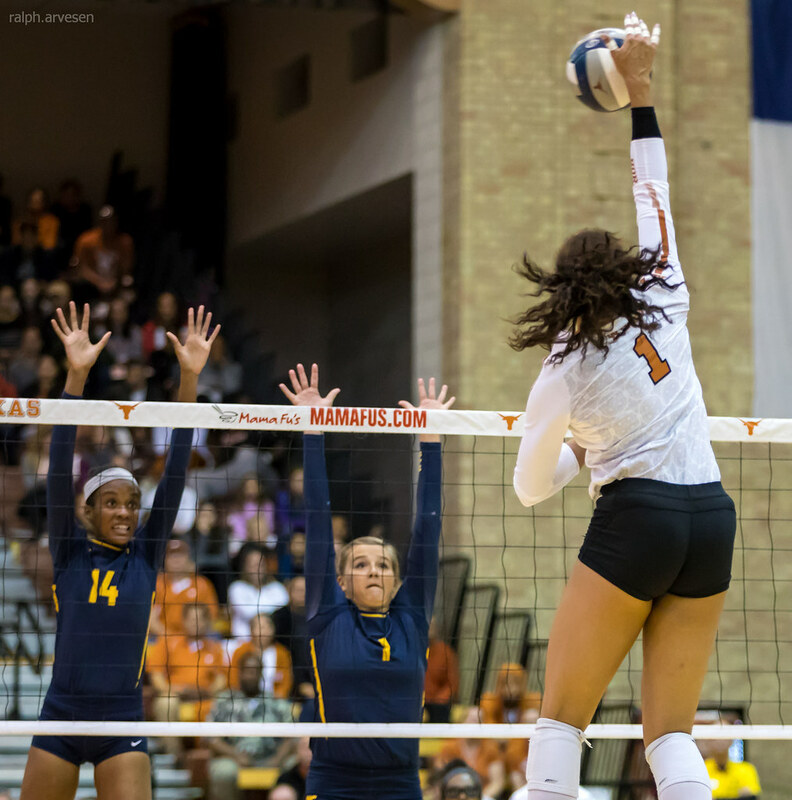 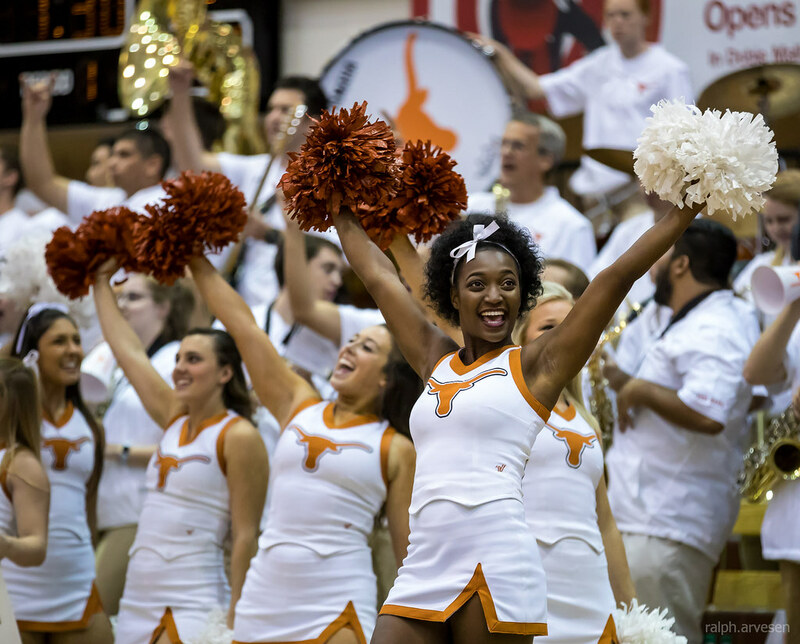 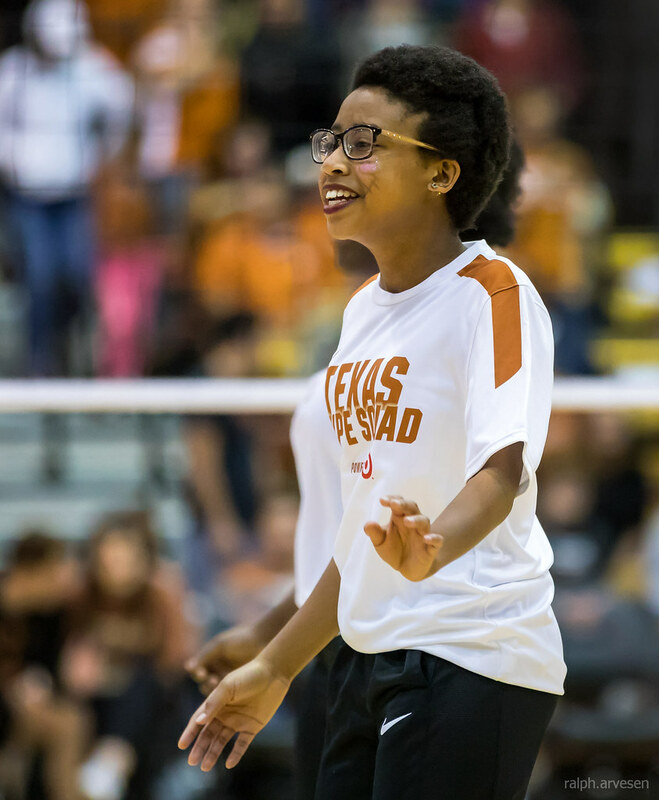 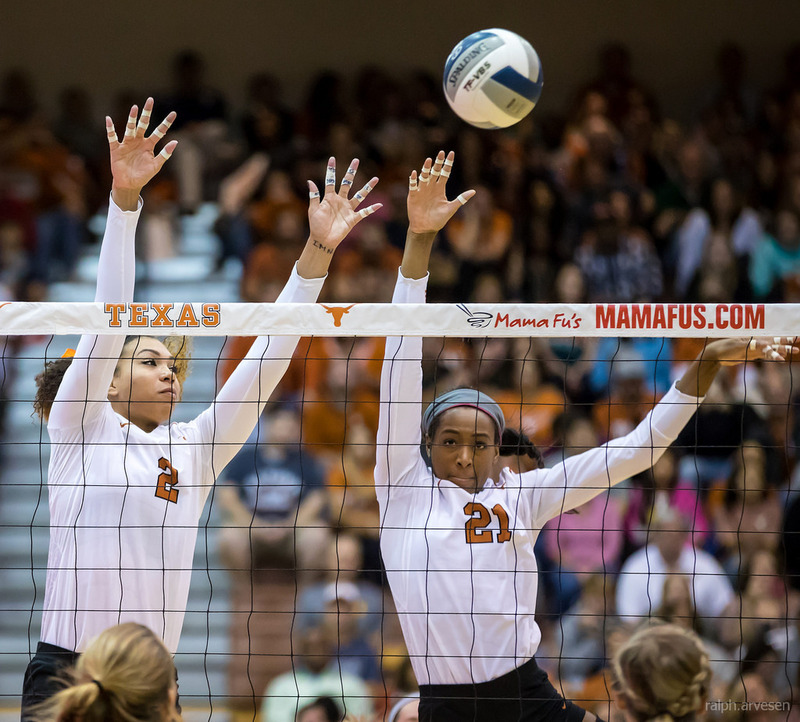 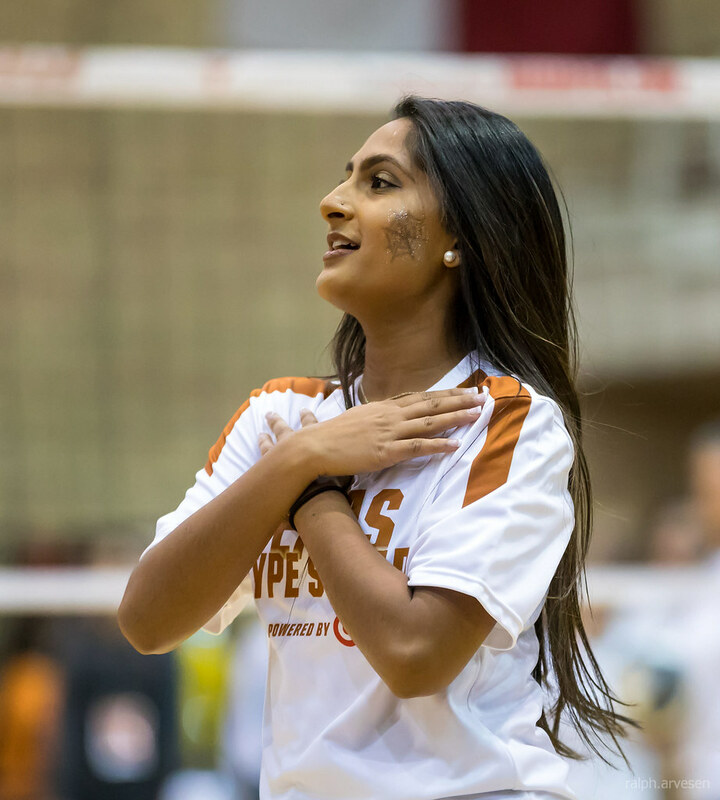 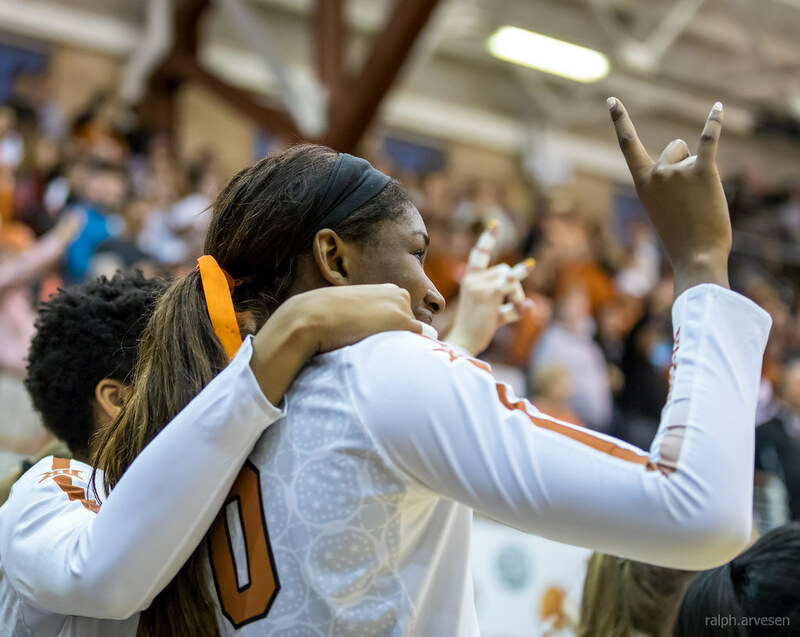 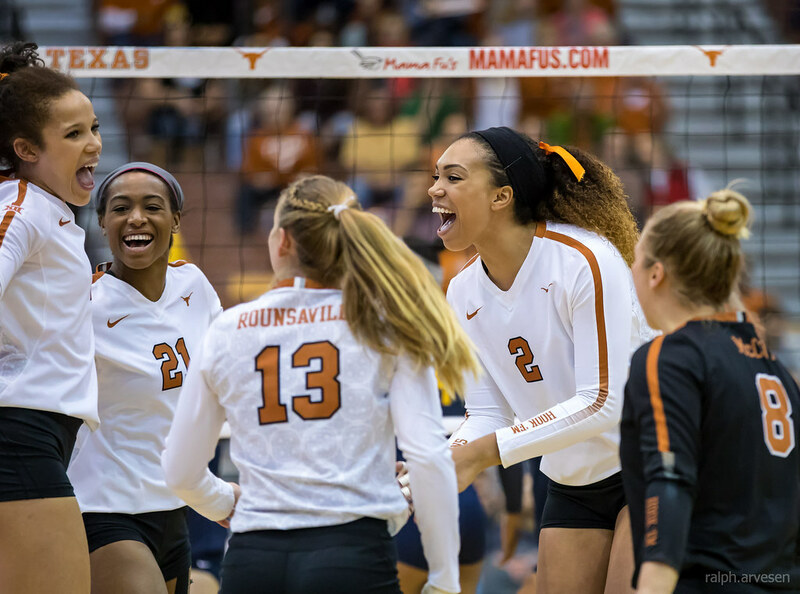 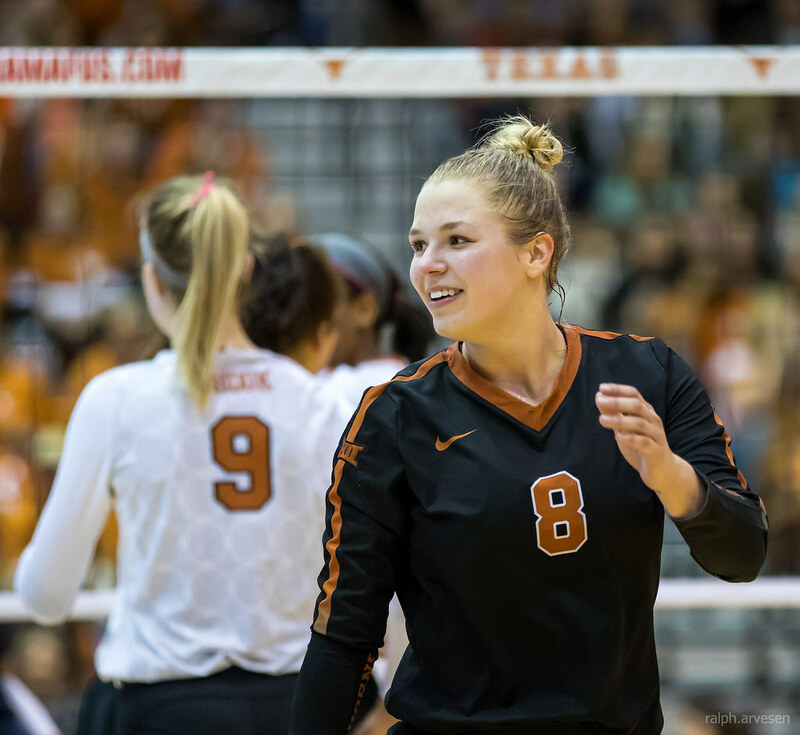 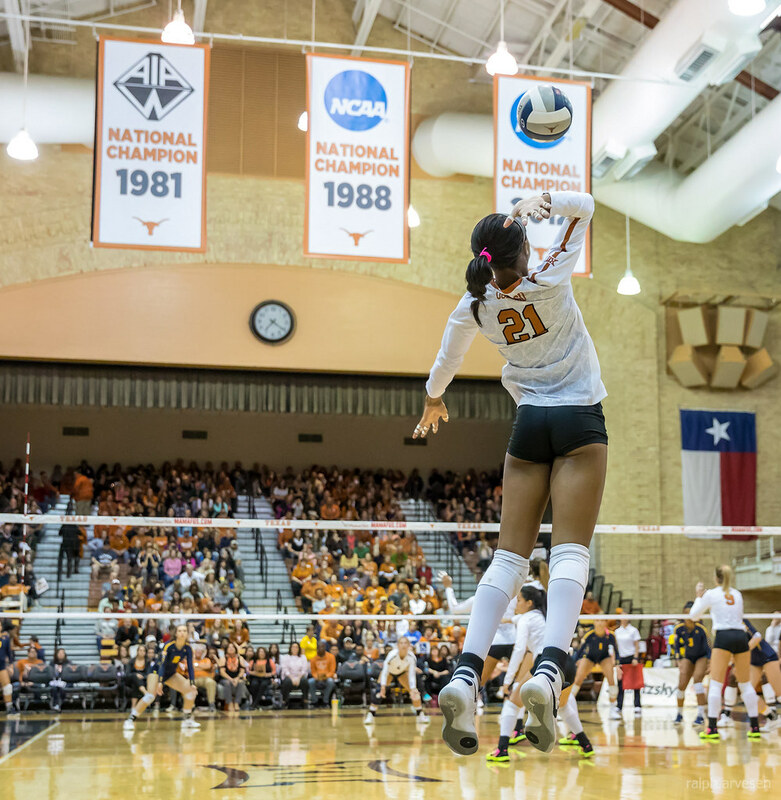 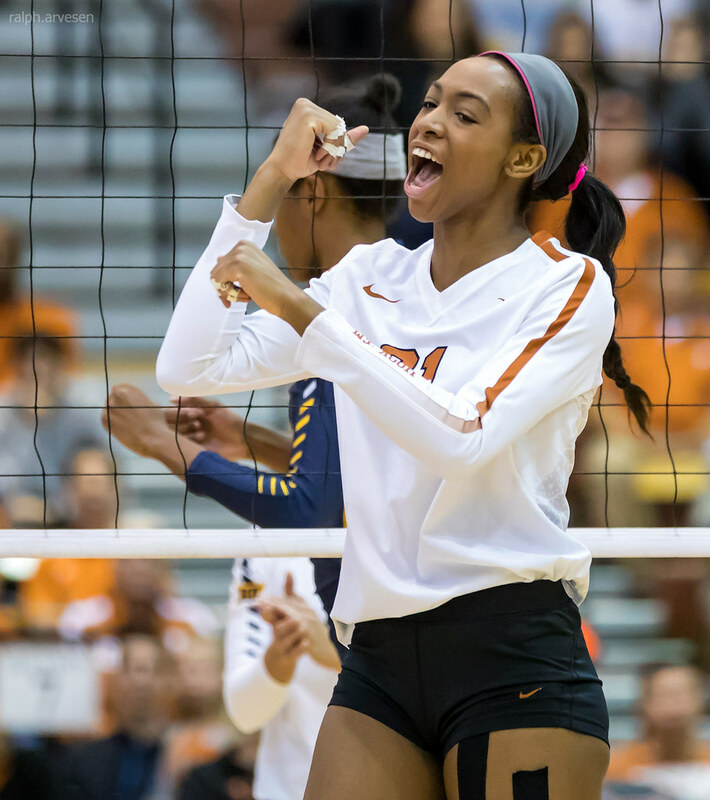 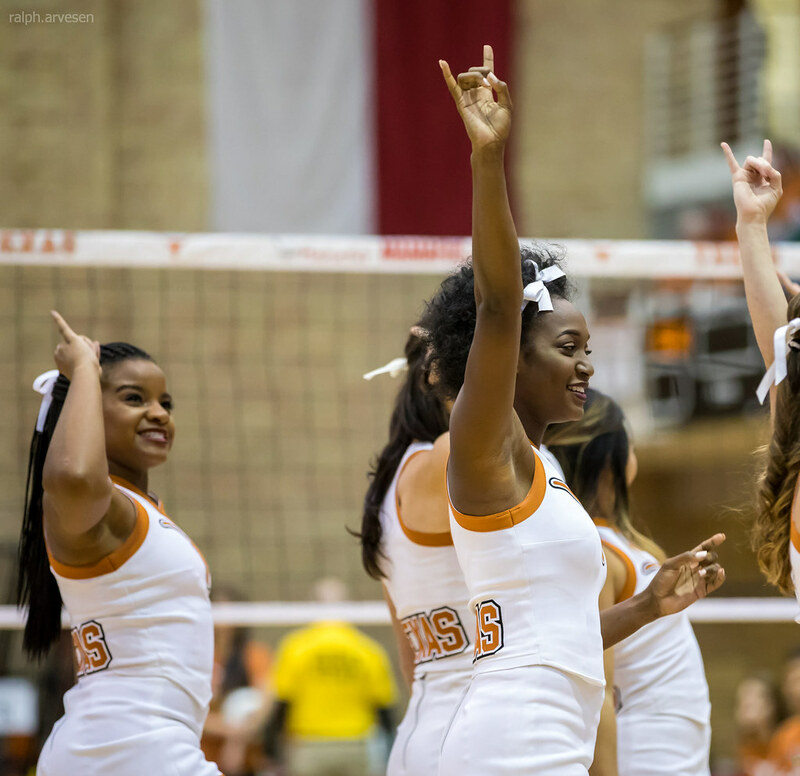 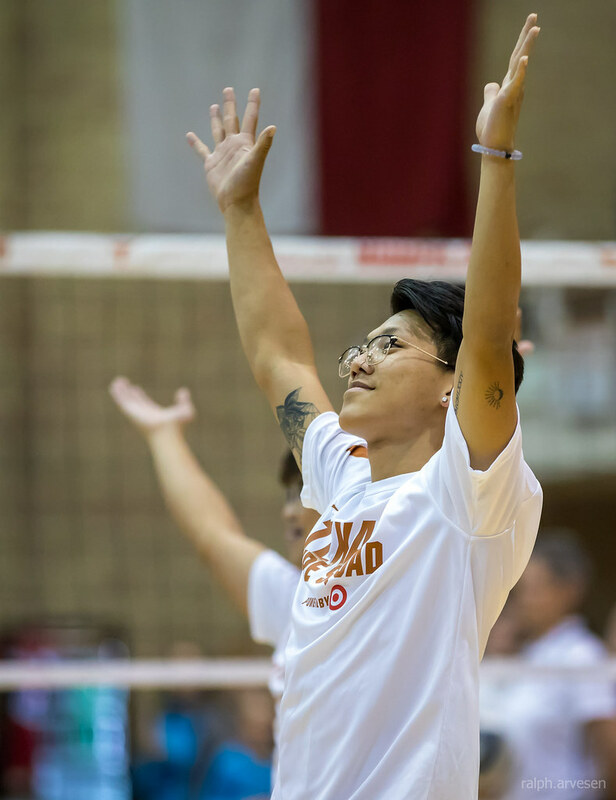 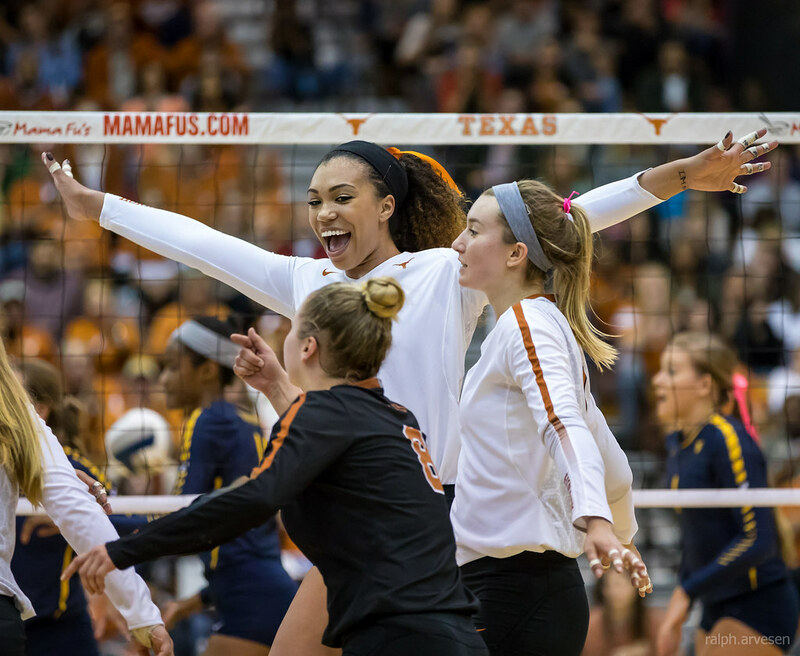 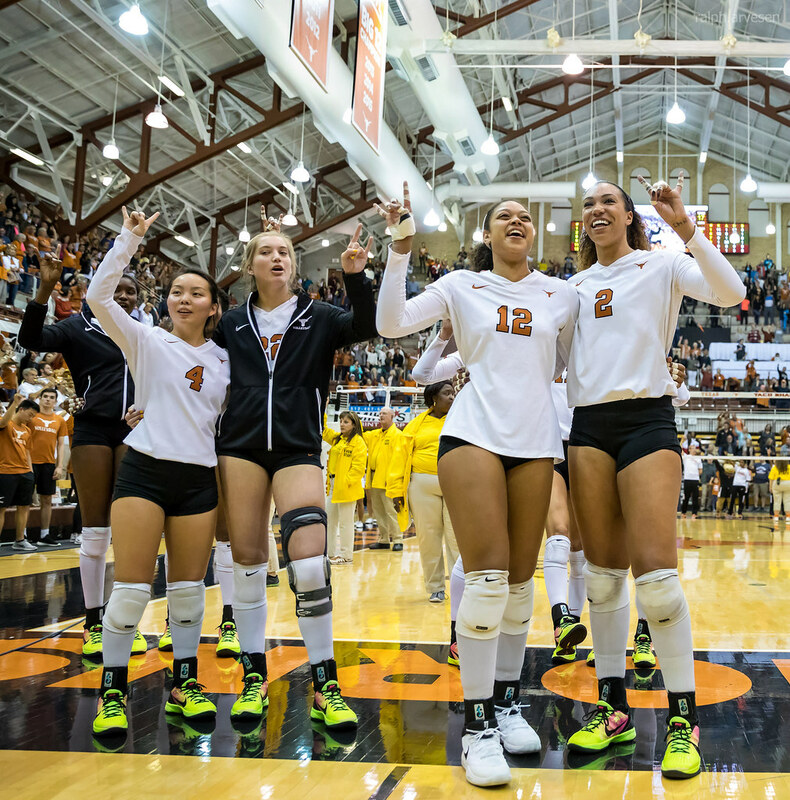 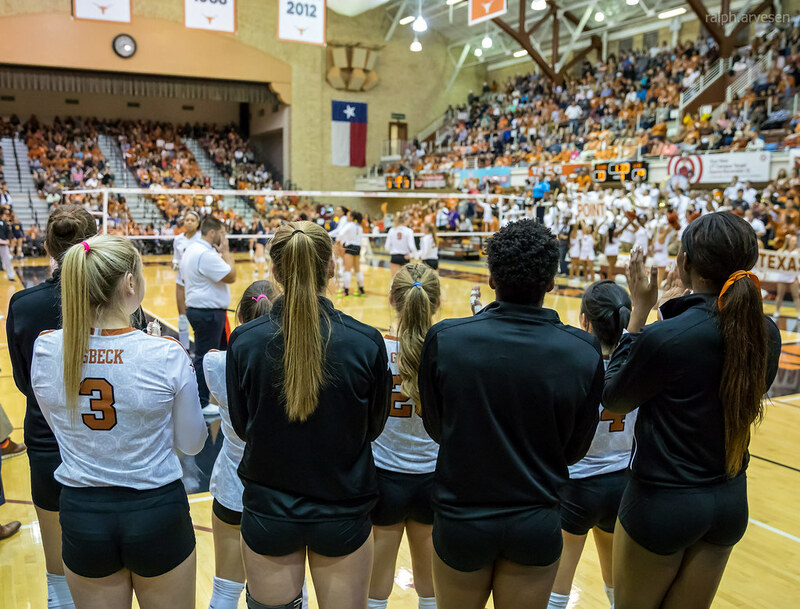 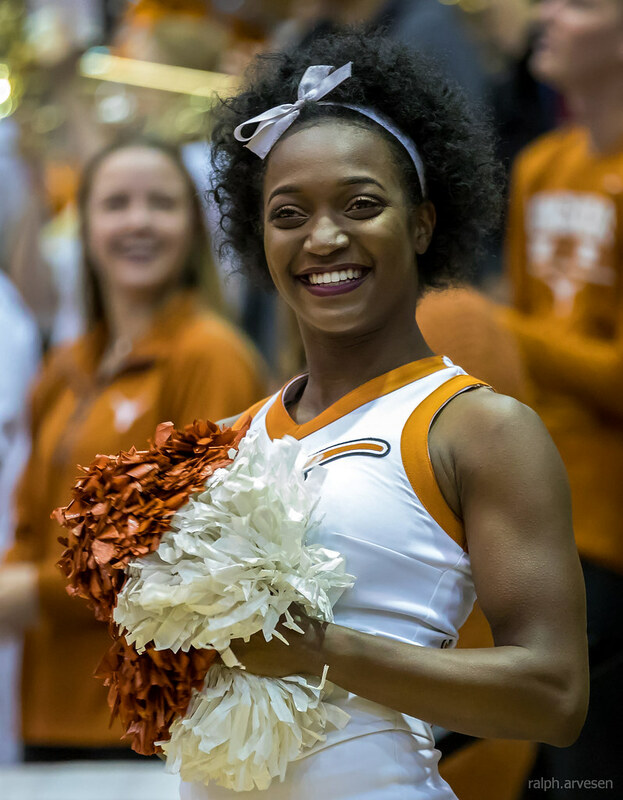 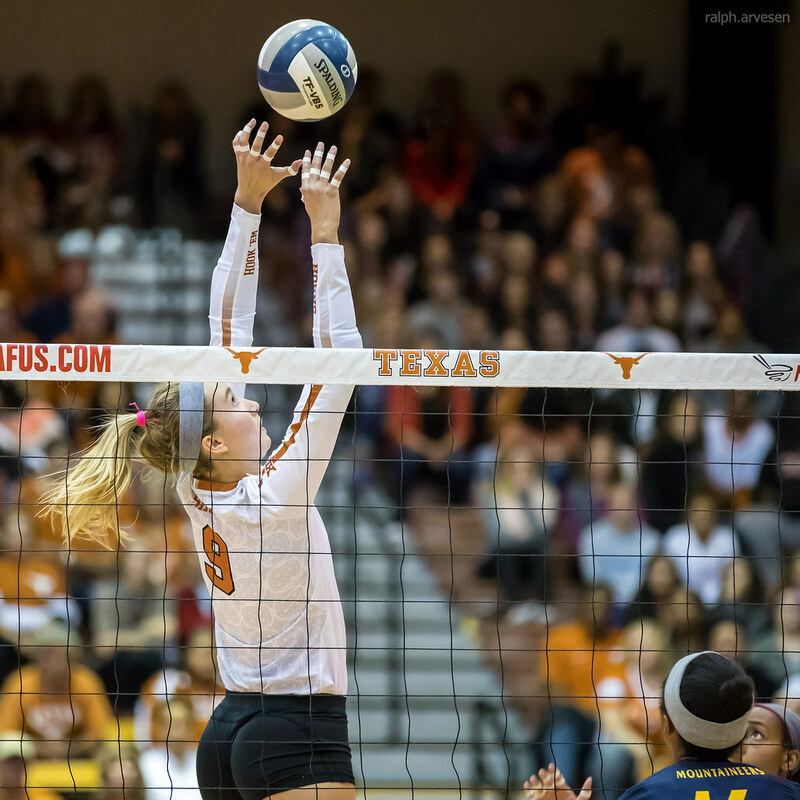 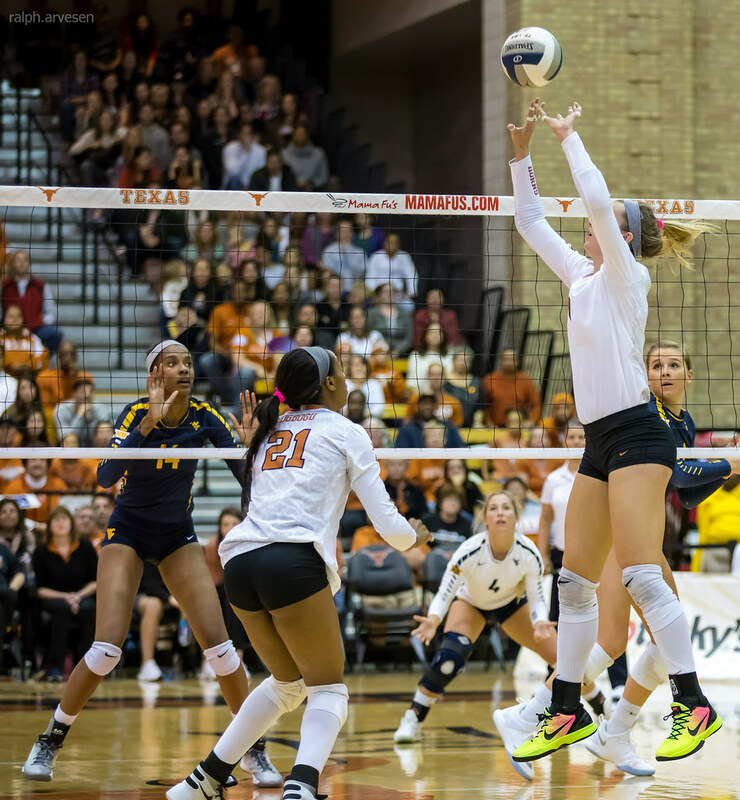 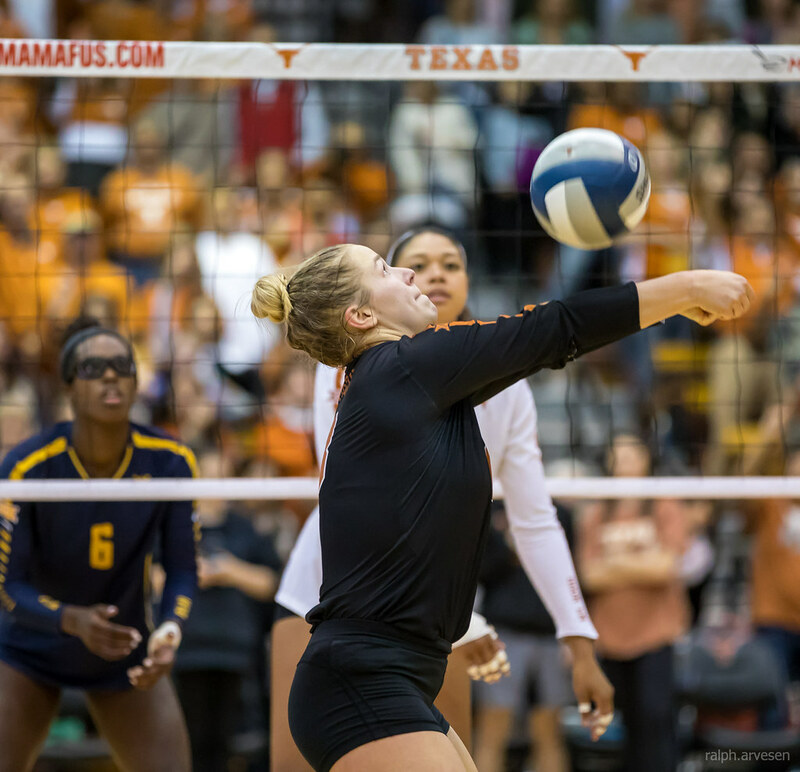 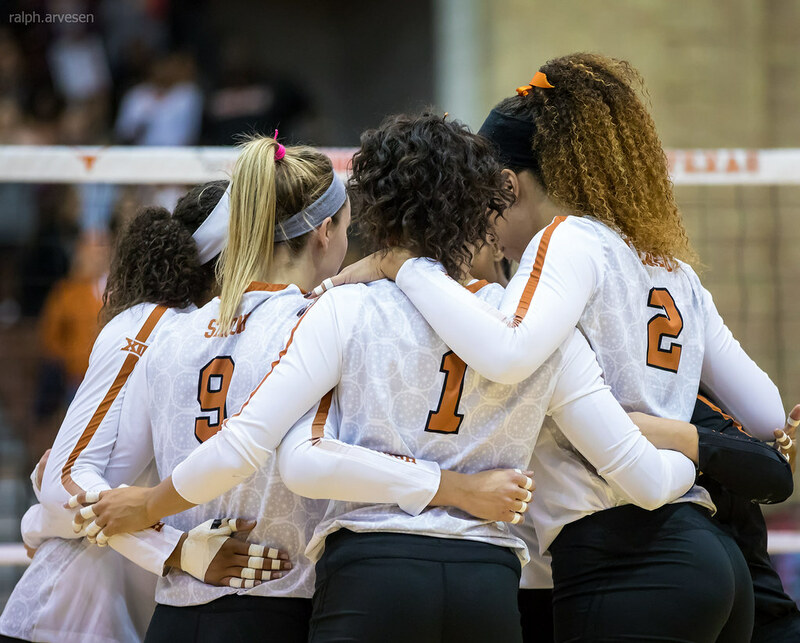 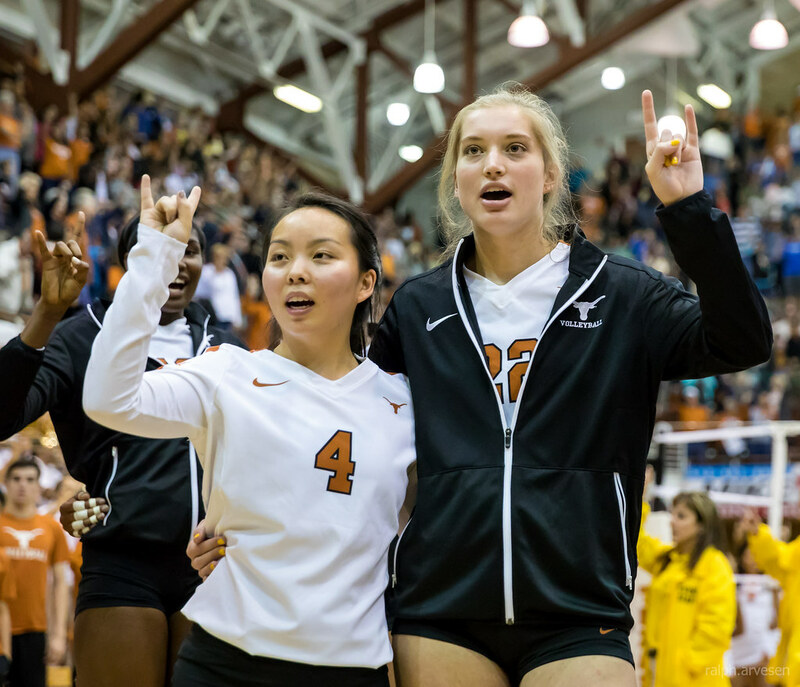 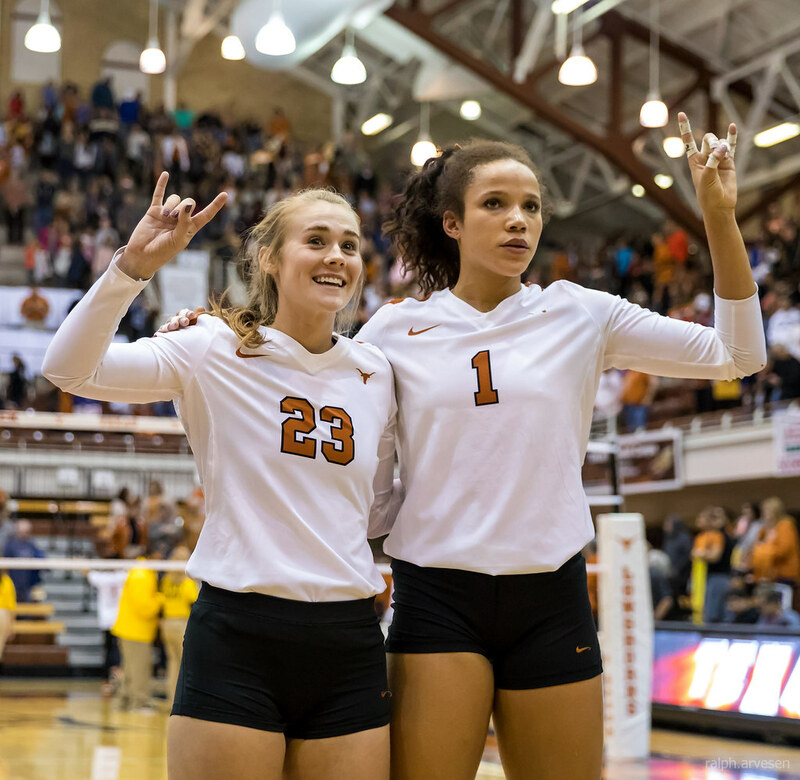 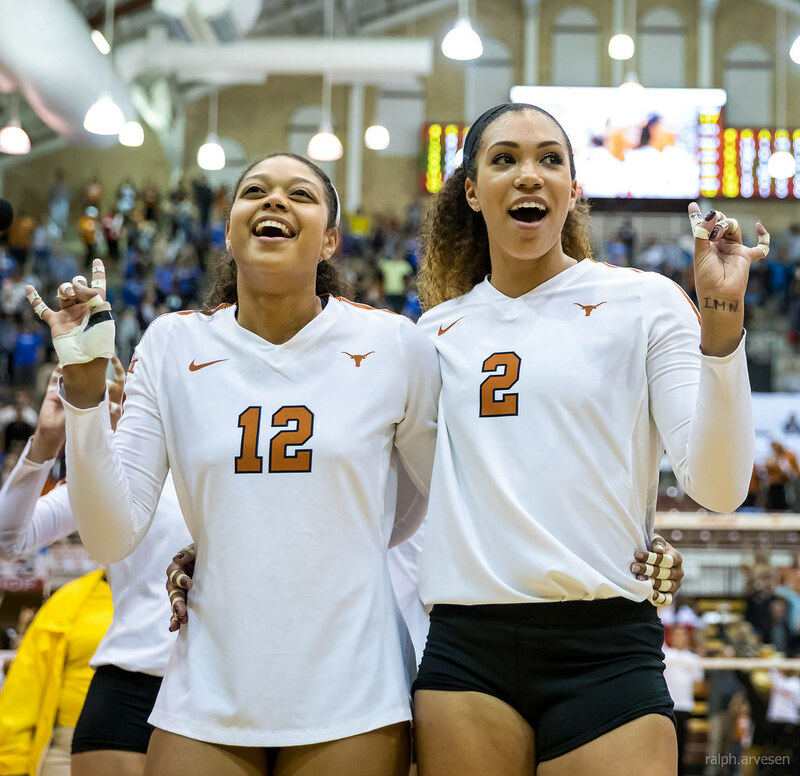 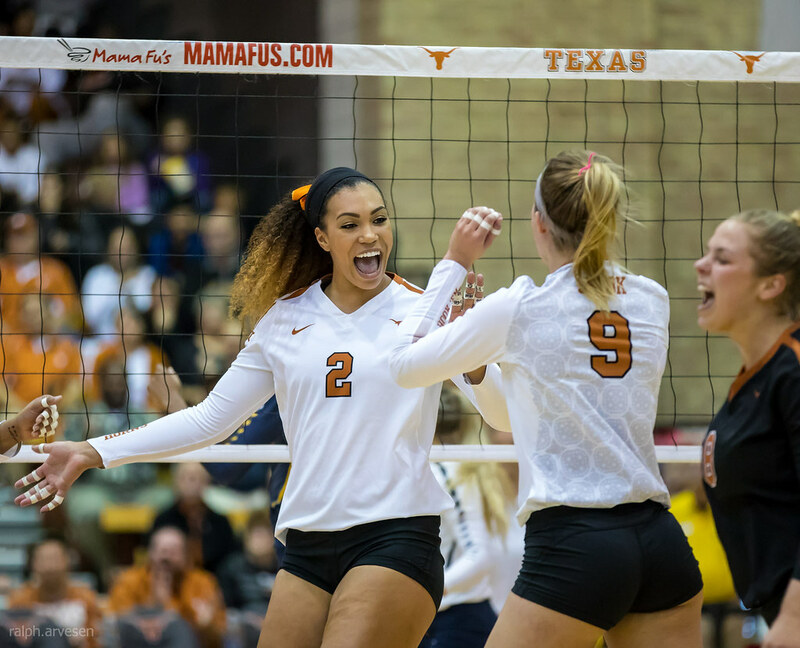 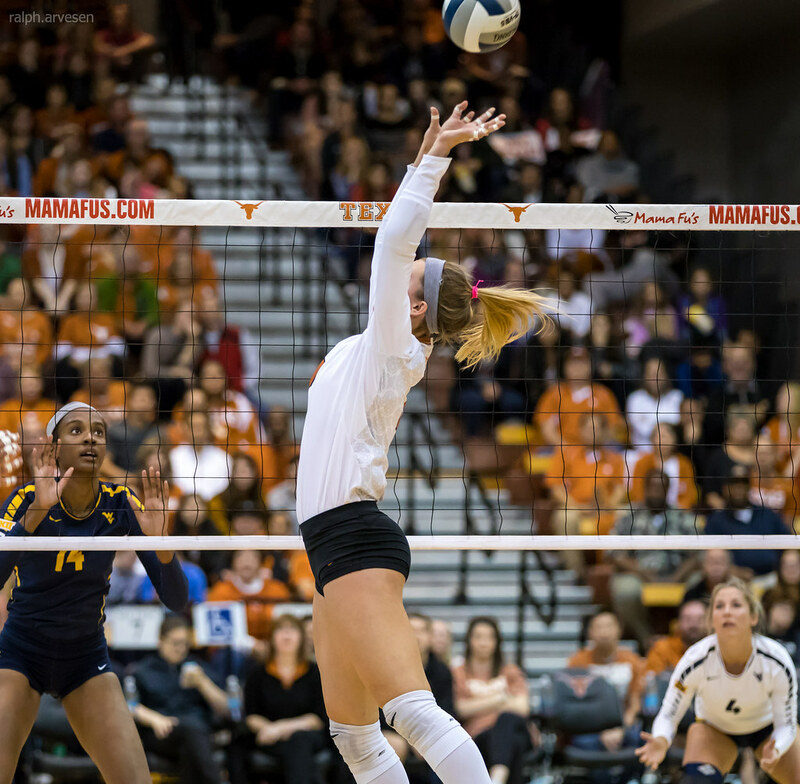 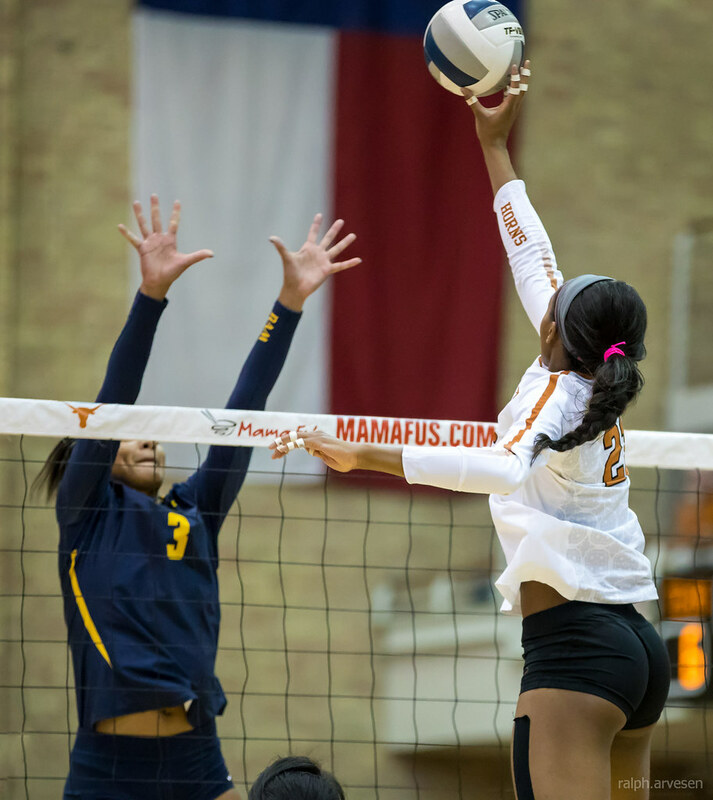 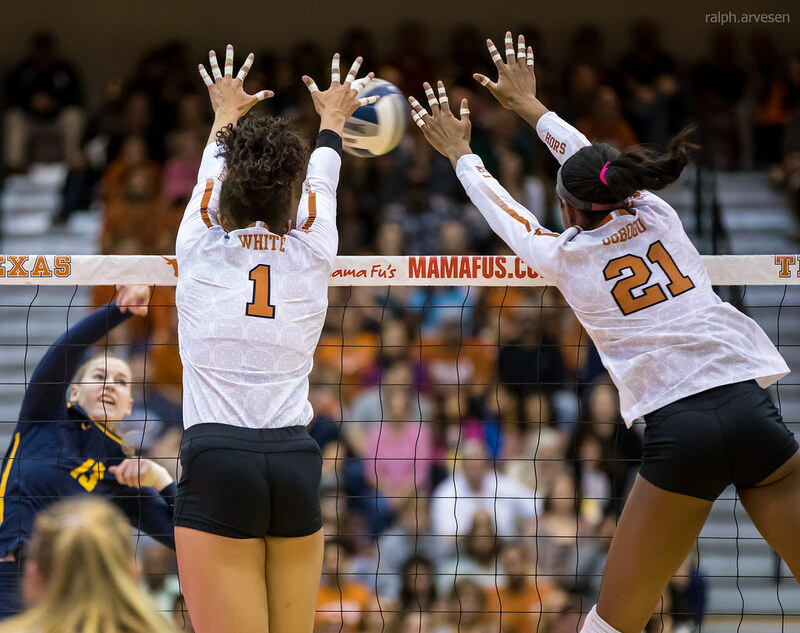 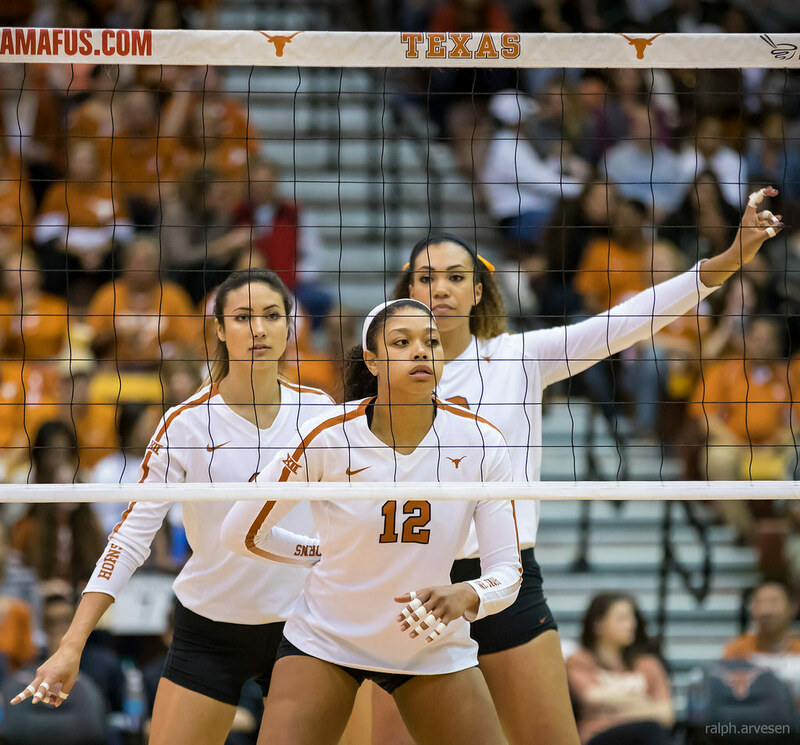 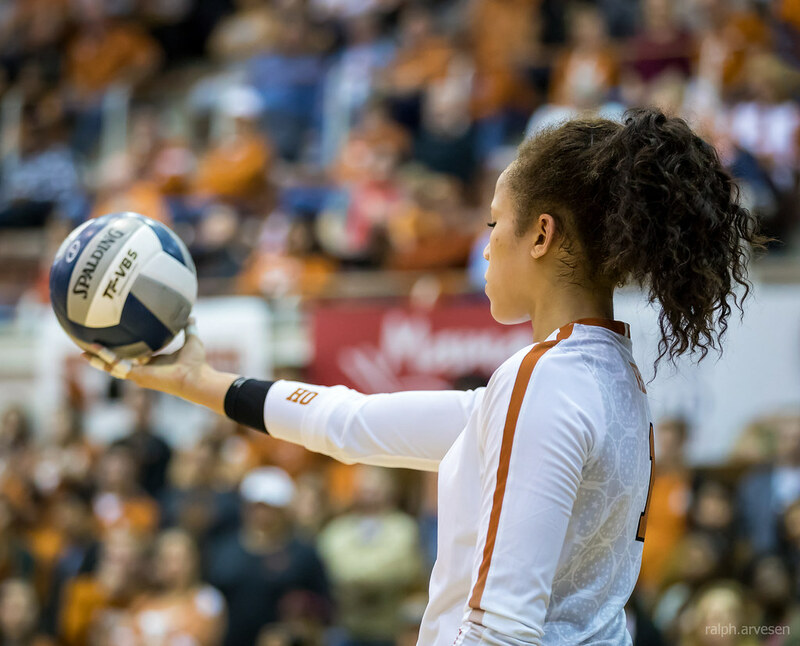 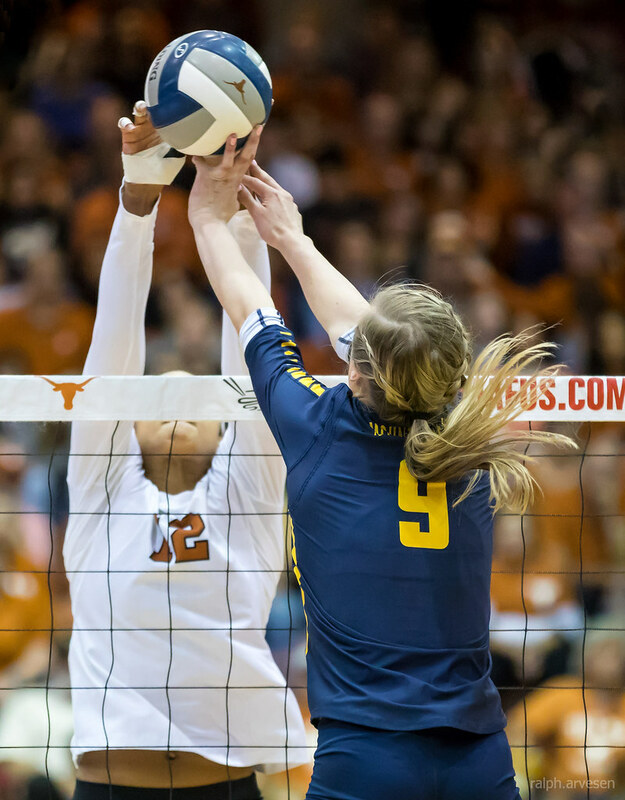 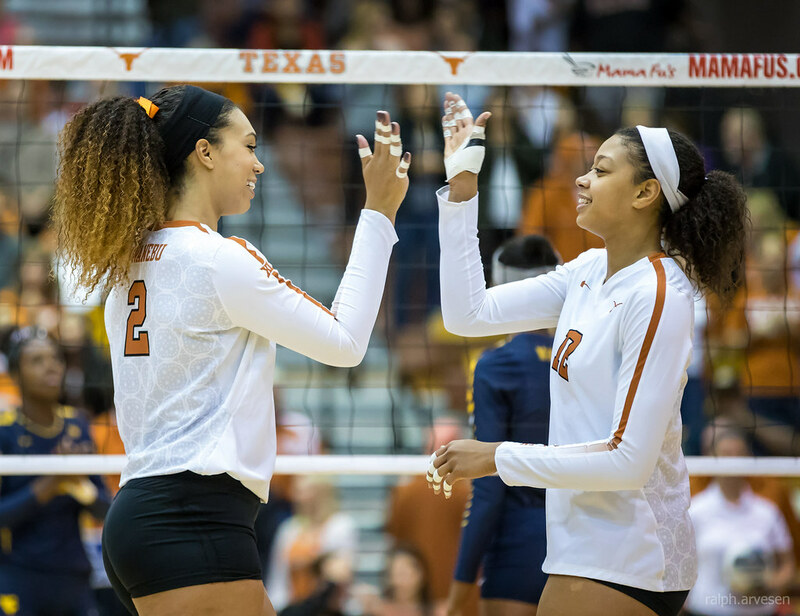 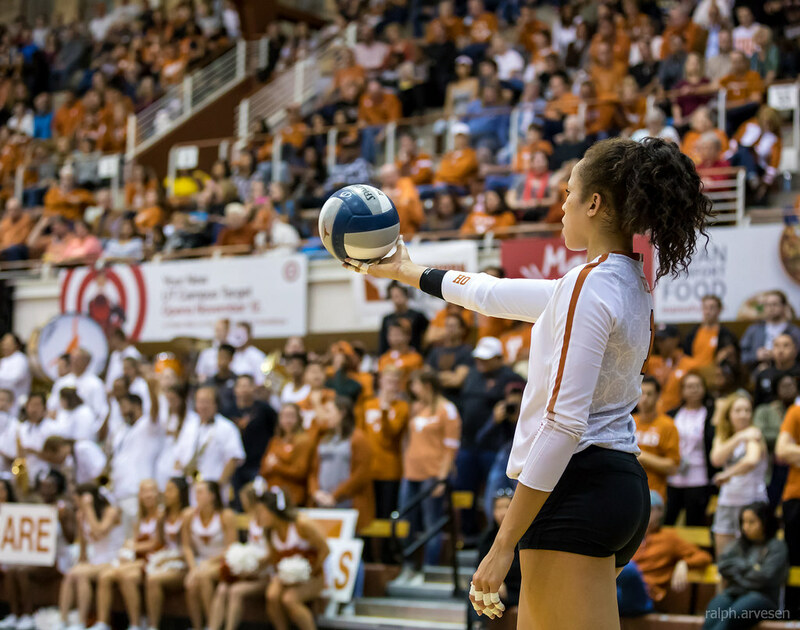 Sophomore Micaya White posted nine kills for the Longhorns, recording no errors to hit .321, while senior Ebony Nwanebu finished with seven kills, also with no errors for a .538 efficiency. 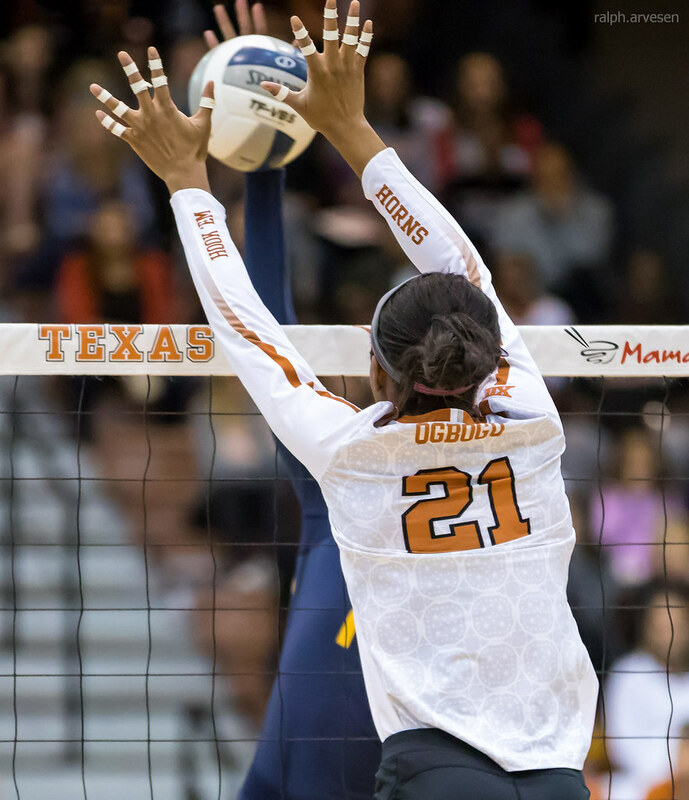 Junior Morgan Johnson recorded a team-high .556 hitting percentage, with six kills and one error on nine swings. 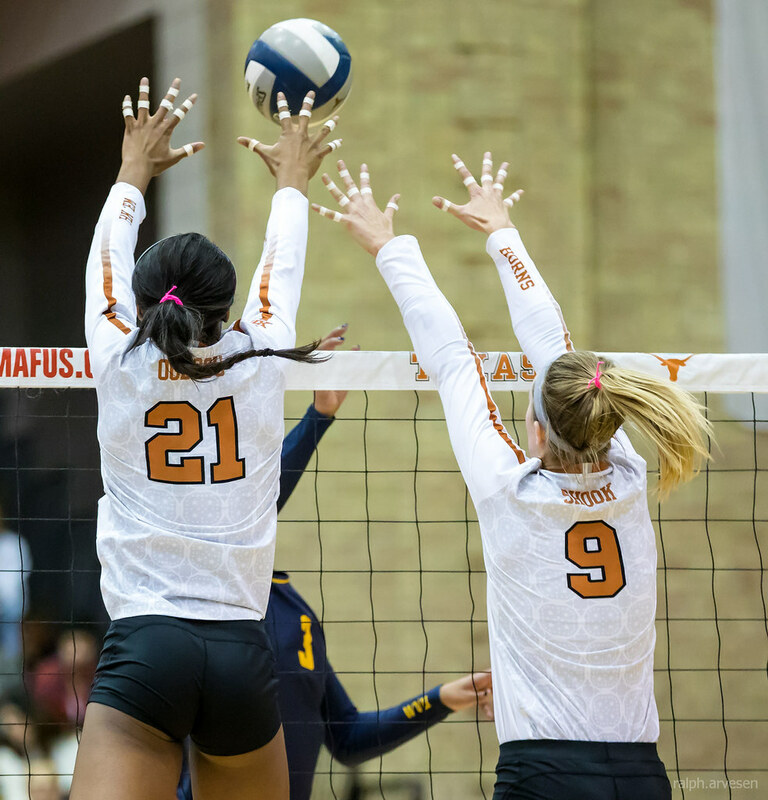 Senior Cat McCoy recorded her 18th match with double-digit digs with 12, tying the all-time career digs record set by Demetria Sance in 1998. 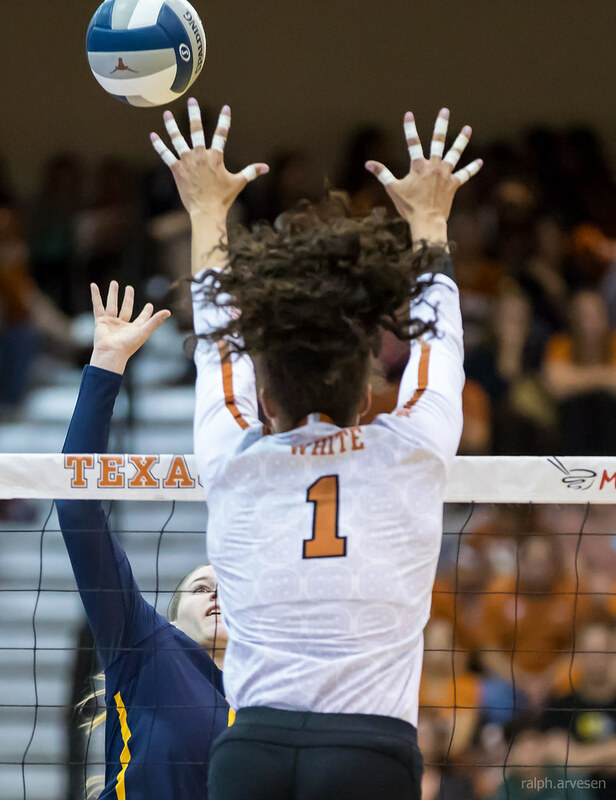 White also finished with double-digit digs with 11. 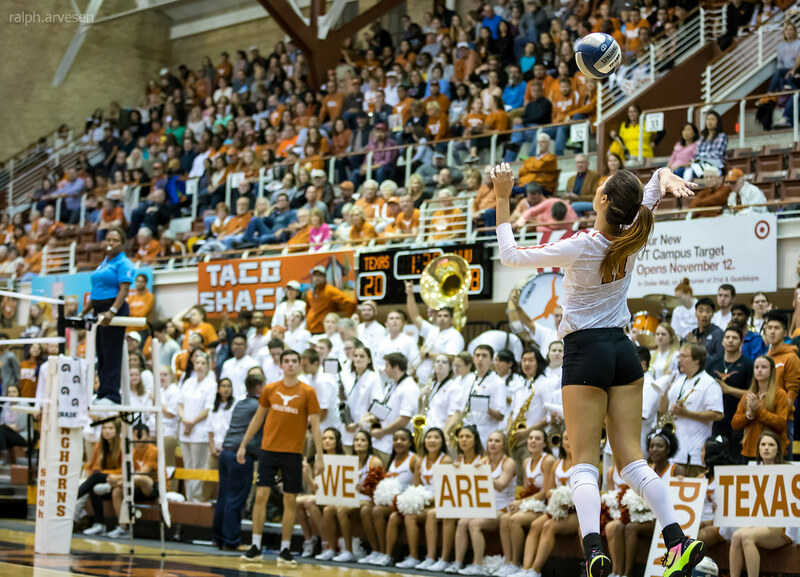 Freshman Ashley Shook finished with 33 assists, also posting six digs and four kills. 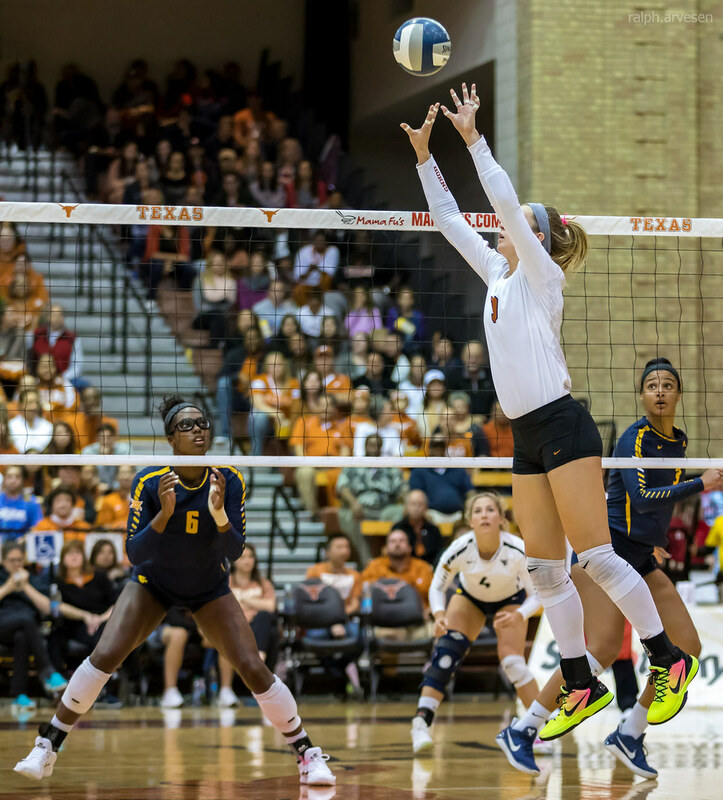 The Longhorns outblocked their opponent for the 18th time this season with an 8.0 to 1.0 advantage. 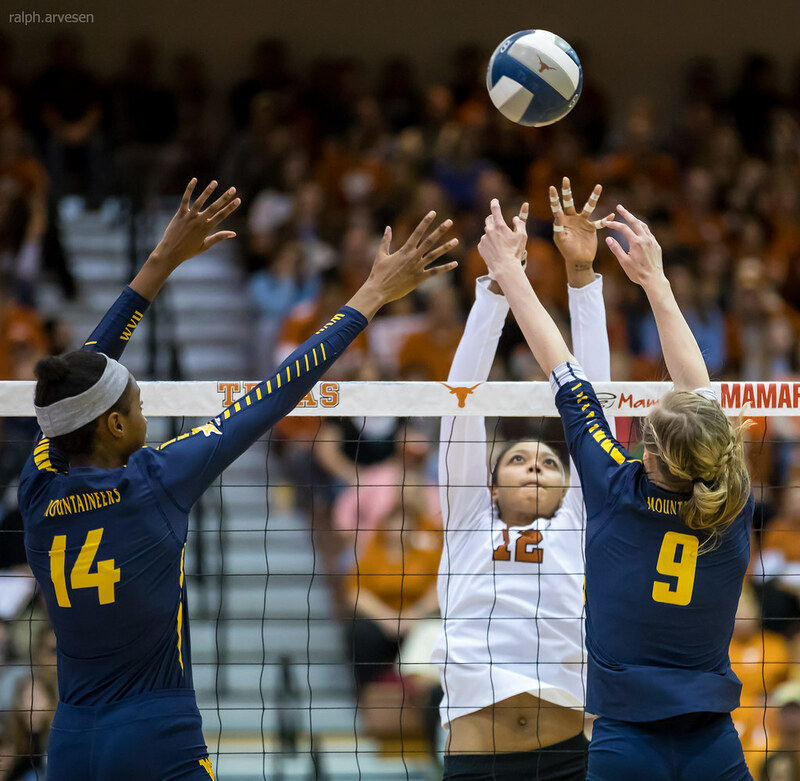 Texas began the match with four unanswered points on McCoy's service, forcing a West Virginia timeout at 4-0. 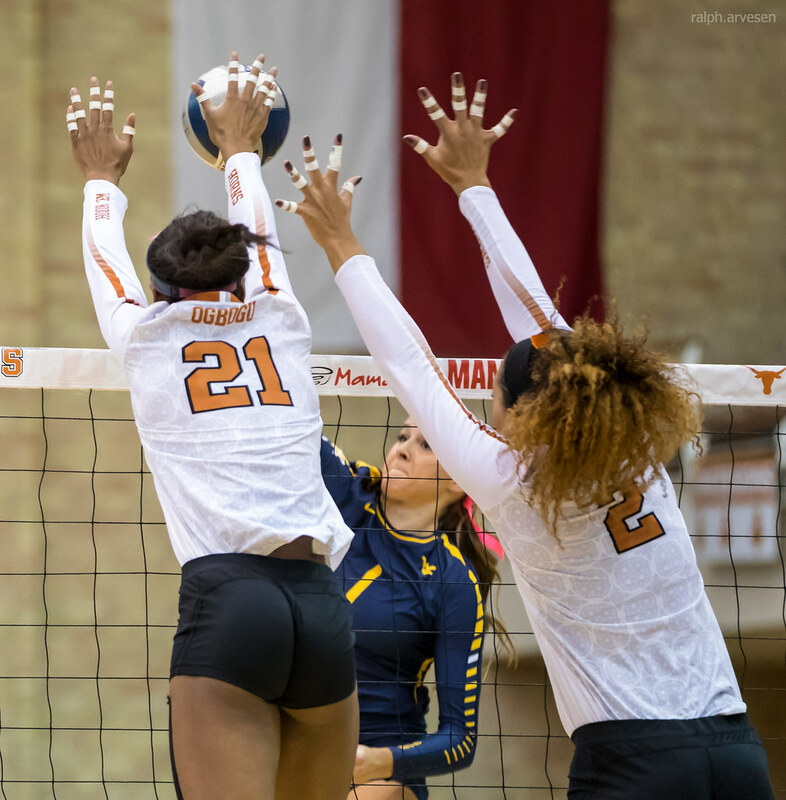 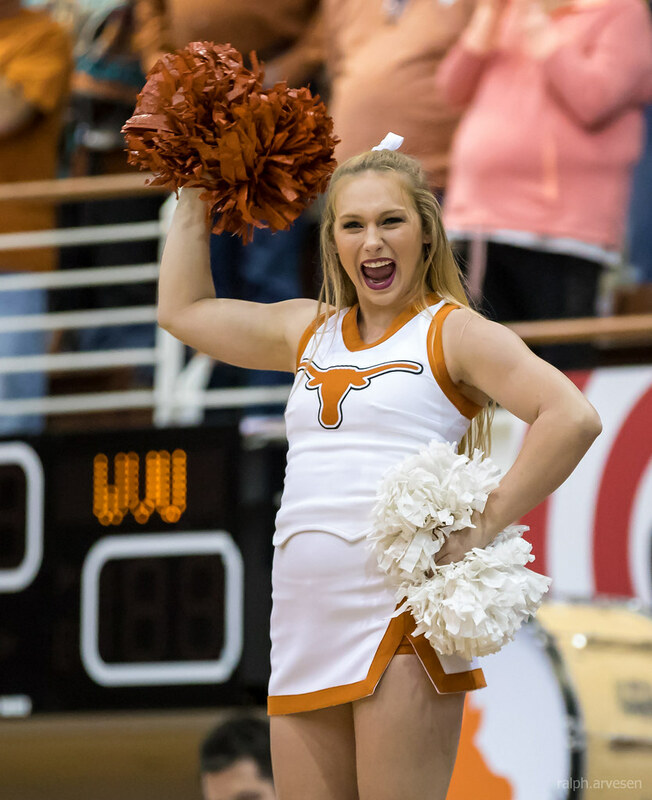 Unable to capitalize on the lead, the Longhorns were limited to a .222 clip when the Mountaineers drew within one at 19-18. 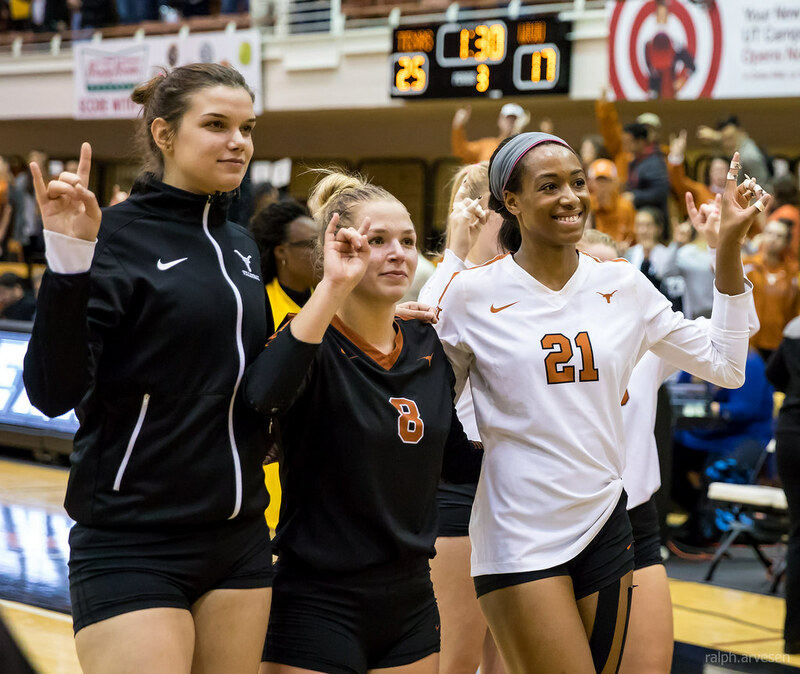 Continuing to hold the slim advantage through the set, Texas clinched a 25-19 finish when forcing a 10th error from the visitors. 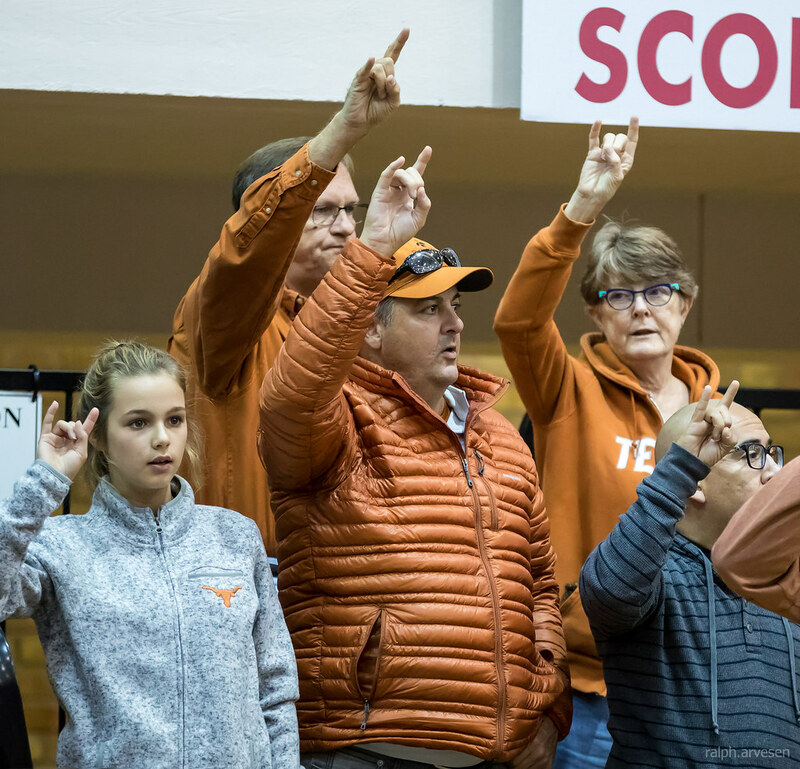 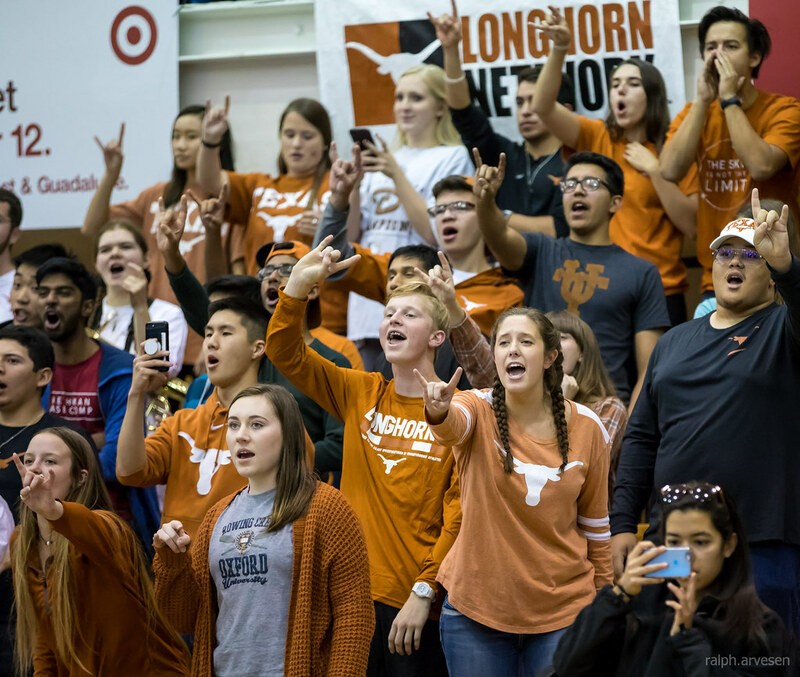 The Longhorns again gained early momentum as a White service ace opened a 6-3 lead in the second set. 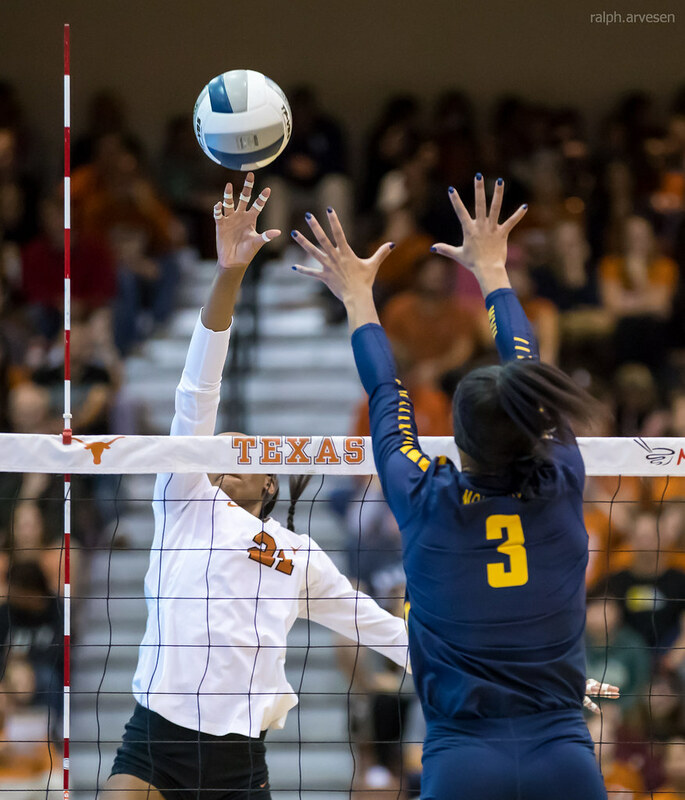 Despite eight kills from White and seven from Ogbogu leading offensively, West Virginia tied eight times before taking a 19-18 lead. 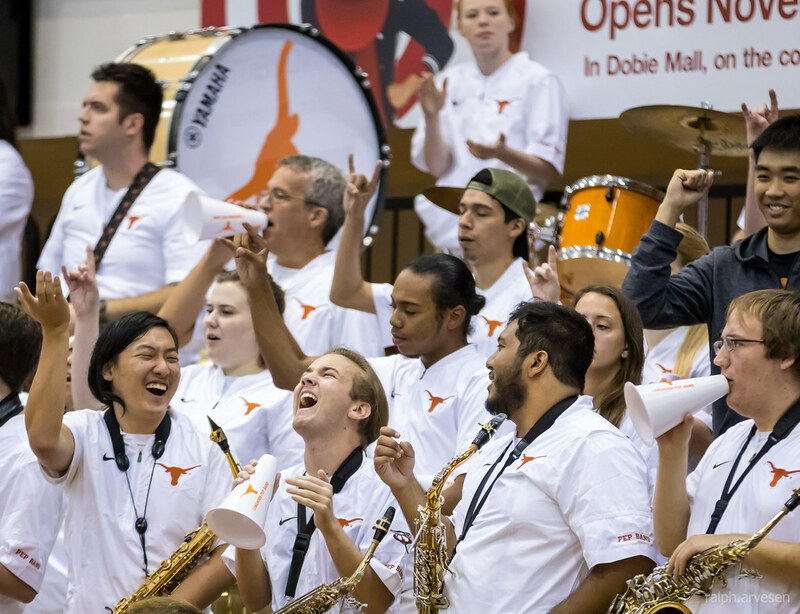 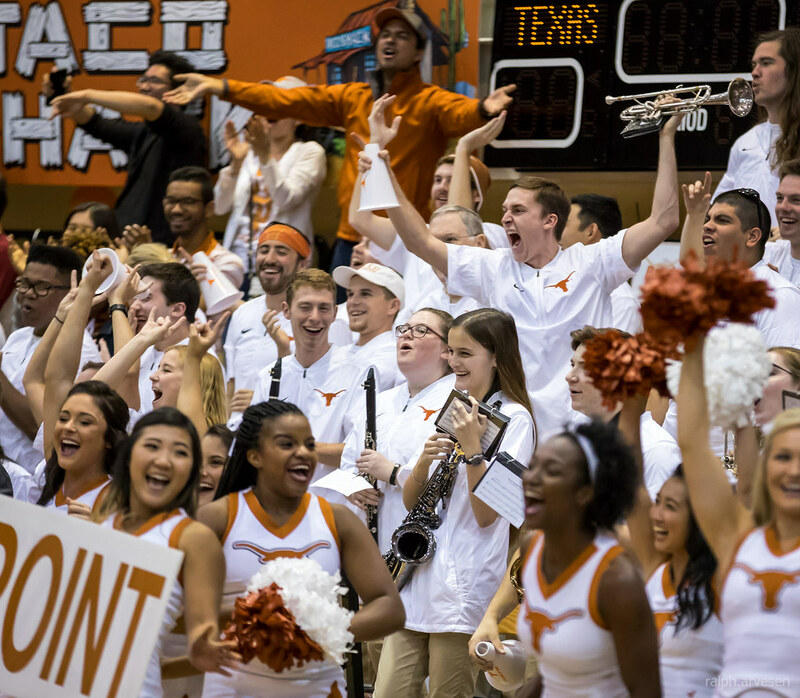 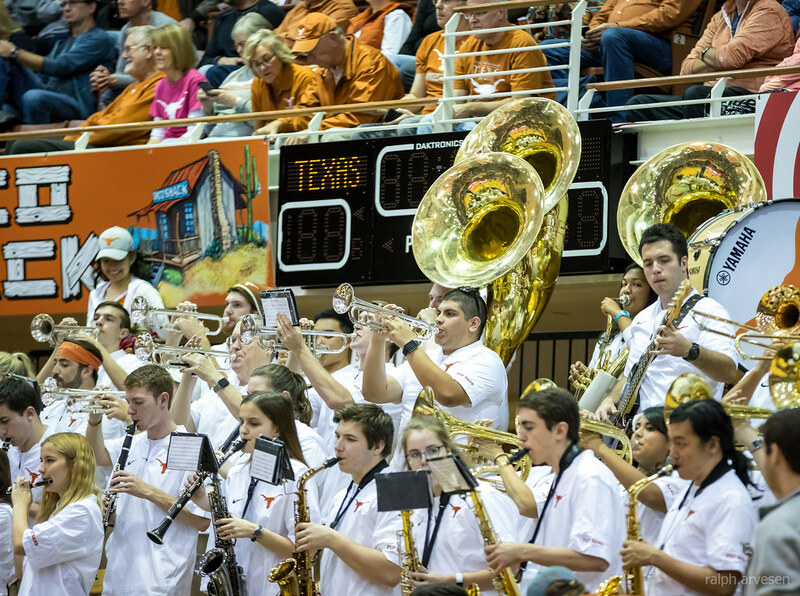 Texas rallied with White and Ogbogu combining defensively with a block to tie at 22-22. 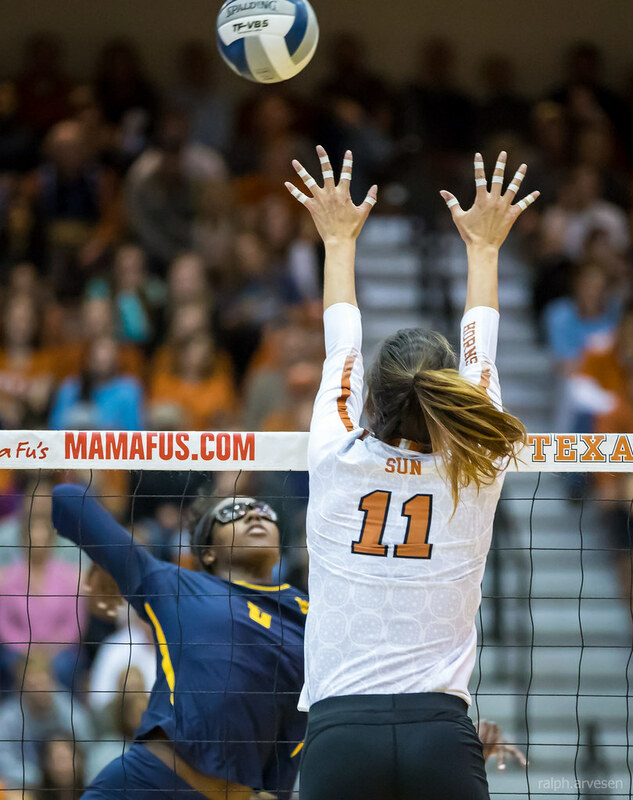 After six more ties, Sun terminated a kill and the set at 28-26. 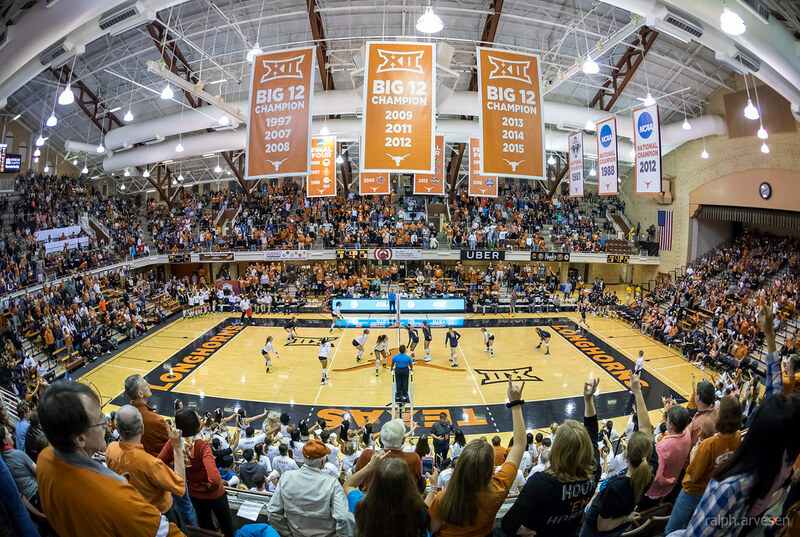 The next home games are Texas Tech on November 4, TCU on November 8, Kansas on November 15, and Oklahoma on November 22.